We have reached the goal of signing up 50 CELSIUS Member Cities!! CELSIUS member cities signed up! 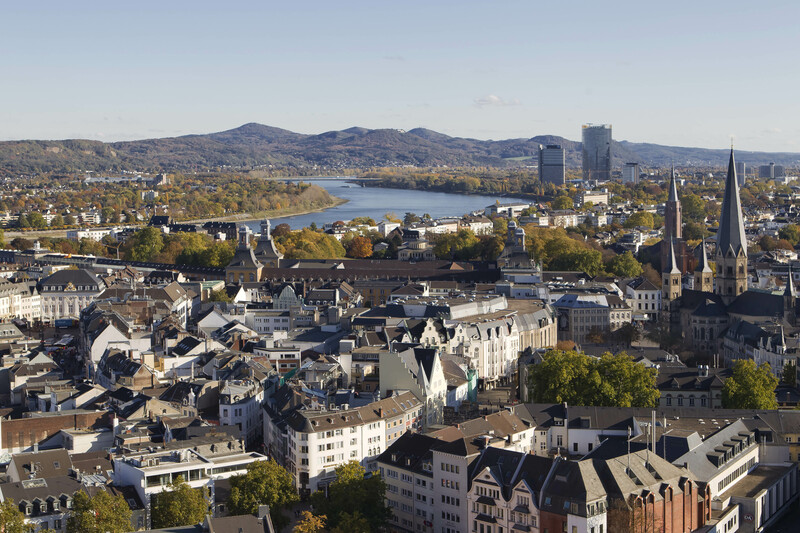 One of the goals with CELSIUS was to recruit 50 New CELSIUS Cities and to provide them with relevant support, advice and guidance to help gain support for, establish, construct or ultimately grow district heating and cooling systems in their cities. New CELSIUS Cities believe that intelligent district heating and cooling systems have a role to play in the evolution of the city’s energy systems, and they have committed to actively engage and collaborate with the CELSIUS project in pursuing the cities’ heating and cooling objectives. Tripoli Lebanon witnessed on April 21, 2018 an important scientific event on Energy topic. Jointly organized by the University of Genoa, Department of Mechanical Engineering and the Faculty of Engineering in City University, Sponsored by the Italian Institute of Culture in Lebanon. The Order of Engineers and Architects in Lebanon hosted the Workshop titled: “Energy Recovery, a tool of Environmental Sustainability”. The event gathered 132 individuals and was sponsored by the Mayor of Union of Municipalities of AL-Fayhaa Engineer Ahmad Kamareddine. 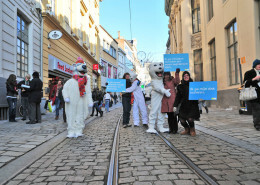 The event was followed by the signature of a letter of commitment to engage with the CELSIUS project, so indicating that the way towards energy sustainability cross the borders and open to new forms of cooperation and friendship. The effort to pursue energy efficient and carbon neutral cities requires an international dimension. This new signature confirms the long term and wide impact of the CELSIUS initiative. In his speech, the mayor said that the general objective of the municipalities is to protect their citizens and maintain a healthy environment. 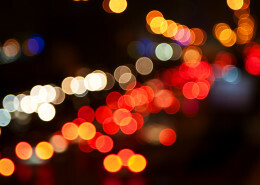 Energy consumption is a key part of most human activities. Action is needed to bring new opportunities to improve the quality of life of its citizens, promote sustainable urban development, stimulate investment and innovation, and reinforce stakeholder participation and cooperation. Stakeholders involvement is the starting point for stimulating the behavioural changes that are needed to complement the technical actions. Why have you chosen to become a CELSIUS City? 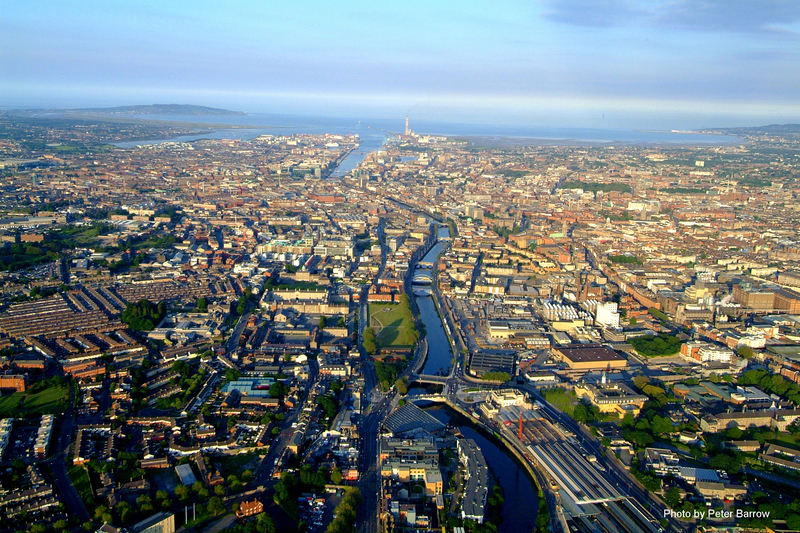 Dublin has chosen to become a CELSIUS City because we feel we can greatly benefit from the knowledge sharing and experience that the CELSIUS project has to offer. What would your city gain from doing this? Dublin would gain an insight into how DH systems have developed in other countries through the many Celsius demonstrator projects and learn from their experience, and use the CELSIUS Toolbox to help overcome any barriers where possible. How developed/widespread are your systems for district heating/cooling today? Today in Dublin there are only a few micro/small scale community DH examples in operation, where a fixed number of buildings are connected within the same new development, with little or no existing building stock connected. There are no medium or large scale networks in Dublin or in Ireland. How do you raise awareness about DHC in your city? 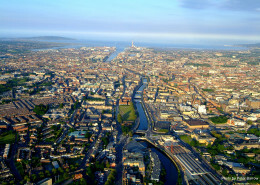 Codema – Dublin’s Energy Agency, have carried out many studies of potential DH systems for the Dublin Local Authorities and held workshops on DH to raise awareness among key stakeholders. The benefits of DH are also highlighted in relevant policy submissions to government and regulatory bodies. What is your vision of how and to what extent you would like to be using district heating / cooling in the future?/ Do you have any specific projects that you would like to realise within district heating/cooling? The vision of DH in Dublin is to ensure DH is considered for all new developments, and DH retrofit into other areas where the socio-economic benefits of using DH over fossil fuels are higher than costs. The largest network in Ireland is now at planning stage, based in the Docklands in Dublin, and using waste heat from electricity production. It is crucial that this project is successful and leads to expansion throughout Dublin City centre. What do you see as your biggest challenges to achieving this goal? The biggest challenges for Dublin are the unknowns; DH is new to Ireland and the technical, economic and regulatory aspects are therefore not well understood. Dublin needs to learn from other cities who have grown DH systems from this ‘ground-zero’ level and create the easiest pathway to a success. In your opinion, what makes district heating/cooling a good solution for the future? Ireland has very small amounts of indigenous fossil fuel sources, with an 85% import dependency, and therefore energy security is a problem. Due to large number of individual fossil fuel boilers it is difficult to integrate renewable energy into the heat sector. There is also huge potential to use waste heat from electricity production to offset fossil fuel use in heating. 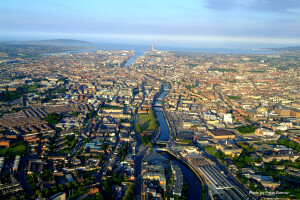 DH will allow integration of many renewable and waste heat sources to lower Dublin’s emissions, energy costs, and decrease reliance on imported fossil fuels. Oslo has chosen to join the CELSIUS project with the aim of sharing knowledge and to improve the cooperation with European Cities. We believe that we can learn a lot from other cities expertise on district heating and cooling systems. 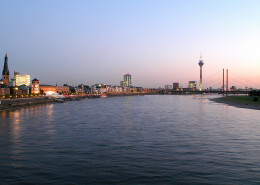 The CELSIUS project gives us the opportunity to exchange knowledge and experience with other cities and to connect to a network of cities with similar projects and challenges. By increasing the flow of information between cities, we can help each other become more efficient and avoid common errors. Hafslund Heat and its predecessors has provided the citizens of Oslo with district heating since the 1950s and the system has expanded extensively during the last 30 years. In 2015 Hafslund produced 1,6 TWh heat which corresponds to about 20 per cent of Oslo’s heat demand. About 880 apartment buildings, 3300 houses and 1100 commercial buildings are connected to the district heating network. 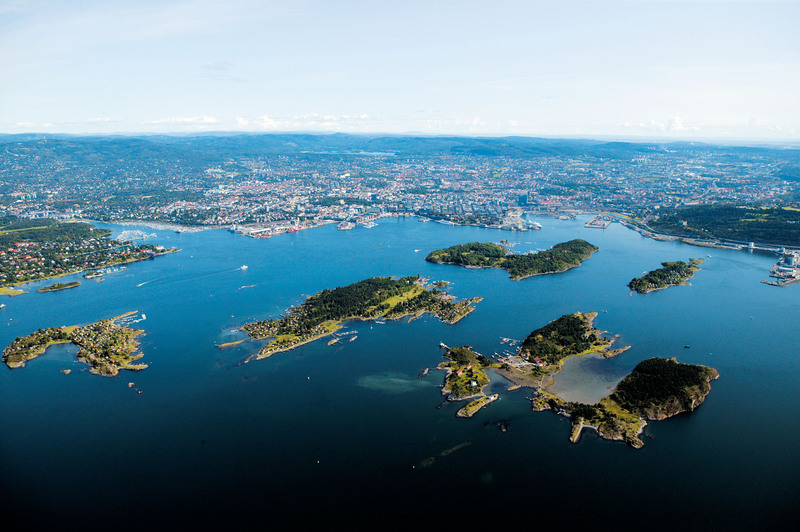 The Oslo municipality and Hafslund Heat are working in cooperation to convert the remaining oil based heating systems to green district heating. In this we communicate to the relevant market segment. Hafslund Heat are also planning a broader scope of communication, which includes several marketing channels in the near future. Our goal is to produce 2 TWh heat in 2020, and Hafslund Heat also aspires to become the preferred producer and distributor of cooling. The city of Oslo wishes to facilitate a widespread deployment of low temperature grids in interaction with the existing high temperature grids. Our biggest challenges which we foresee is the allocation of capital within the Hafslund Group, the cost of cooling infrastructure, and the possible lack of coordinated deployment of capital intensive investments. District heating has the advantage of being able to use energy that would otherwise be lost. This way DHC contributes to reduce energy losses. The district heating system offers flexibility to energy systems. A large district system for heat and cooling also ensures the availability of heat and cooling in a large quantity, thereby enhancing the security for the delivery of these products. The district heating system in Tallinn is technically modern and it is being constantly renewed. In recent years, the district heating system has developed vigorously with an objective to optimise the system as a whole and to provide clients with higher quality services. Joining as a CELSIUS City member gives us an opportunity to exchange knowledge and experiences with specialists needed to further develop and effectively manage Tallinn’s district heating system. Multifaceted experiences of other cities favouring district heating systems are valuable in many ways and with their help we are hoping to make the quality of this vital service even better, more easily accessible and greener, which leads to a more convenient and attractive Tallinn for both its residents and visitors. More than two thirds of the buildings in the city are connected to the district heating network, and the service is available 365 days of the year. 40% of the heat is produced from renewable fuels and waste incineration. The main district heating network is operated by AS Tallinna Küte. Presently the heat supply to the district heating network comes from two combined heat and power (CHP) plants and several boiler plants. The CHP plant owned by Utilitas energy group burns mainly renewable fuels: wood chips and a little bit of peat. During peak load, Utilitas energy group relies on three big boiler plants. The second CHP plant with three boilers is owned by Eesti Energia AS; two boilers use natural gas and the third is a waste incineration unit. For peak loads there are three boilers using natural gas. The district heating system has been significantly developed in the past three years. The 432 kilometre long heat pipeline has been renovated and a large-scale project is coming to an end in 2016, in the course of which all consumers are connected to the remote meter reading system. This autumn, Utilitas energy group opens one more modern CHP plant, which will meet the electricity demands of 50 000 households. 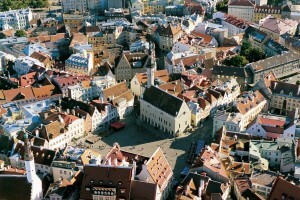 Additionally it will meet roughly 20% of the heating needs of Tallinn’s district heating network. This means, first of all, a more stable heat price for residents of Tallinn. As the wood chips used as fuel are produced locally, we are independent from the world’s energy resources and political changes. With the transition to renewable fuels, we contribute to climate change mitigation. 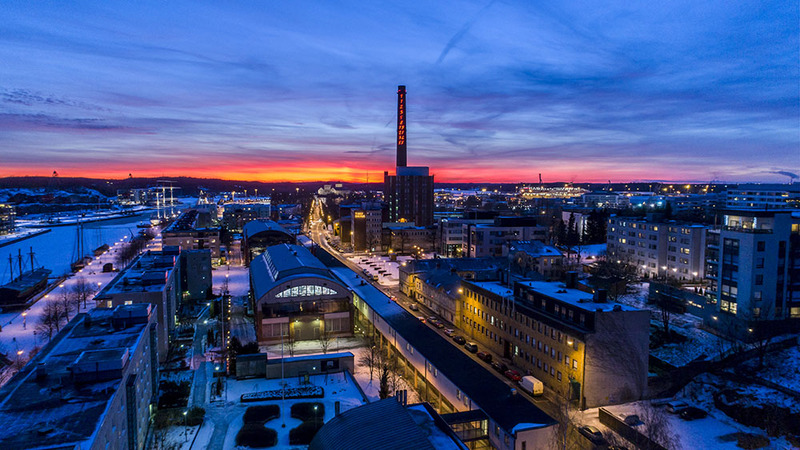 With the launch of a new plant, the Tallinn district heating network is considered an efficient district heating system according to the Energy Efficiency Directive (2012/27/EL). There is no district cooling system in our city at the moment, but there is an interest in this area and we are looking for ways to develop it. The district heating company raises public awareness by publishing articles, making appearances and sending direct mail to the clients. Tallinn Energy Agency also has the responsibility to raise public awareness on the subject of district heating. This autumn, Utilitas energy group will launch Utilitas thermal energy lab in Tallinn University of Technology – a dedicated room to further the field of district heating and to explain to everyone interested the operation and advantages of a district heating system. The thermal energy lab is a unique interactive opportunity that gives an overview of the nature of modern production, distribution and consumption of heat and electricity. Through an educational and playful journey behind the scenes helps visitors discover this exciting and mysterious world. The objective is to increase energy security, security of supply and energy efficiency. We wish to increase the percentage of non-fossil fuels to 80 percent by 2018. We are looking at the possibilities and efficient examples to develop a district cooling system. Sustainability and the implementation of district heating companies’ projects are helped by political stability and a supportive legislation. One aspect to take into consideration is a decreased heat consumption due to energy saving measures implemented in buildings. Decrease in sales volumes requires a reevaluation and an optimisation of the entire system. The district heating company faces the task of finding a balance between fair quality and price ratio on the one hand and the investments made by the company on the other. The investments have reduced today’s heat price compared to the heat price in the year 2015 by 17 percent. A district heating system is the best solution for heavily populated areas today as well as tomorrow. The decisive factors are energy efficiency and environmentally friendly aspects of the system. The district heating system allows us to produce electricity and heat with maximum efficiency, use renewable and non-fossil fuels and reduce CO2 emissions. An optimal and constantly developing district heating system offers services with security of supply, fair price and zero maintenance to the end user. Because of the information transfer between the CELSIUS Cities. We strongly think that co-operation and information transfer can help us to improve our district heating & cooling systems. Environmental issues have always been very important to our Mikkeli city. 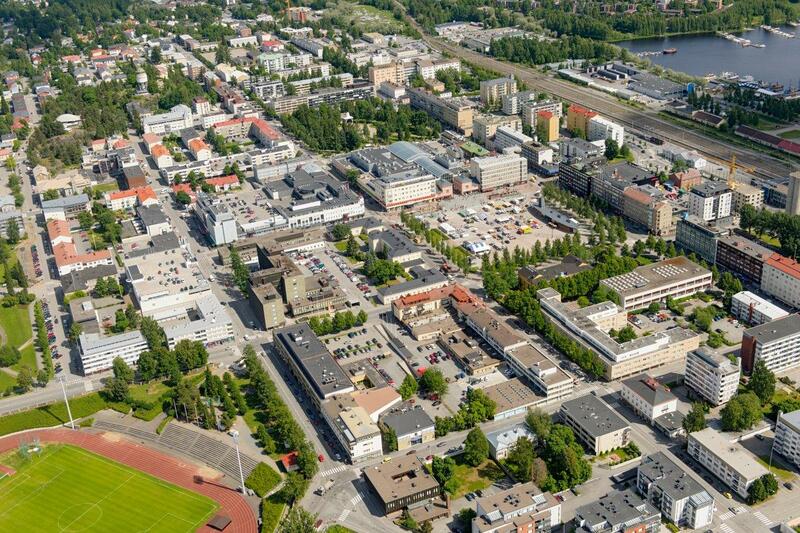 Mikkeli is situated in the eastern part of Finland, the so called Thousand Lake Area – and that makes the city more aware of its responsibilities to the sensitive nature. How developed/widespread are your systems for distance heating/cooling today? Mikkeli has about 200 km of district heating pipeline and 2 300 customers. Environmental issues received special attention when the power plant was constructed. Correct choices of equipment and operating technology enabled us to reach levels below the strict emission standards set by the government and EU. This power plant uses wood and peat as fuels. Annual fuel consumption totals around 1.5 TWh of which about less than 2 % is oil. Our power plant is situated quite middle of the town, on the shore of Lake Saimaa. You can actually see it on daily basis. Also the newspaper articles and many public happenings make it more known. As heating is quite widely spread, the city would like to see its first cooling project. In your opinion, what makes distance heating/cooling a good solution for the future? Why have you chosen to become a CELSIUS city? We believe that intelligent district heating and cooling systems have a role to play in the evolution of our city’s future energy systems. The City of The Hague has the ambition to be climate neutral by 2040. It is a city of 516.000 inhabitants and 80% of the city’s CO2 emissions come from buildings (houses and utility buildings). The Hague has hardly any heavy industry, a District Heating system for approximately 20.000 people, and a desire to increase this system to up to 100.000 new clients in 2030. The energy vision of The Hague is based on energy savings (rational use of energy) and renewable energy sources also for DH. The city policy follows client oriented and bottom up development of new DH as a part of smart energy grids. To achieve our aims we think our city needs to implement energy policies that support the development of intelligent district heating and cooling systems in appropriate areas, exchange experiences about sustainable hybrid energy systems and the transition towards them, and develop strategies for designing, financing and constructing intelligent district heating and cooling systems in those areas of the city where these systems have been prioritized as the optimum solution. 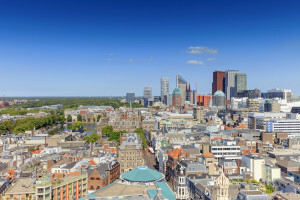 The Hague wants to share and exchange knowledge of how to interconnect district heating systems. More organizational, technical, financial and geophysical knowledge on the subject is crucial; thereby, making CELSIUS a very attractive organization to be a part of. What would your city gain from doing this? With the ambition to make our city energy neutral by 2040, we need to sustainably cover our demand for heat. This requires large scale efficient heat and cooling systems. In order to organize such systems, technical, organizational and financial knowledge is needed. We hope that CELSIUS can assist us in retrieving this knowledge, or initiate relations between a fellow European city, which struggles with the same issues. Questions to share are: How the cascade a DH system to medium and low temperature according to business case development? Ownership of heat infrastructure? Exchange experience about public-private heat infrastructure. How to connect the first and later more geothermal urban energy sources? Success factors and client oriented programming. How developed/widespread are your systems for distance heating/cooling today? 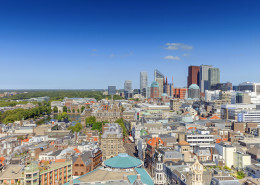 Currently The Hague has one geothermal energy source in our urban area and 4 geothermal energy sources around the city, supplying heat to horticulture companies. Due to this we already possess knowledge on the subject which we could share with our European colleagues. What is your vision of how and to what extent you would like to be using district heating / cooling in the future?/ Do you have any specific projects that you would like to realize within district heating/cooling? In five years the province of Zuid-Holland wants to create an energy hub, called the “Warmterotonde,” which focuses on the exchange of heat between various cities in the region. The City council does not want coal as a fuel in DH. We would like to be part of this energy hub. What do you see as your biggest challenges to achieving this goal? Scale is an issues we are currently dealing with. The energy hub is a challenging project with regard to its organizational, financial and technical aspects. DH systems have been realized before, but never at this scale. In your opinion, what makes distance heating/cooling a good solution for the future? Due to the differing demand for heat/cooling between companies and residential areas, the exchange of these products could increase efficiency dramatically. A large district system for heat and cooling also ensures the availability of heat and cooling in a large quantity, thereby enhancing the security for the delivery of these products. 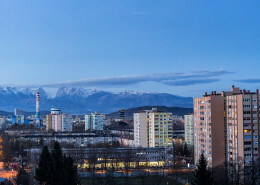 Having been invited by CELSIUS, Energetika Ljubljana finds this project exactly what we have been looking for in the district heating field on our path to take a new position within the municipal and the central Slovene regional energy markets. We hope to gain many ideas on how to improve our district heating system and business. Around 45 percent of the city apartment buildings are supplied with district heating, and the network is 2 x 260 km long. District cooling is not developed because it is not competitive to electric chillers. For district heating, the main production units are old; there are two of them, one from 1966/1967 and one from 1984. Fortunately, there have been no major failures in operation: Leakages are manageable, heat is produced in CHP with high efficiency, and annual heat production is 1100 GWh. We are working on improving DHC awareness in the city. As a promotion, we are issuing a short district heating booklet describing how the system solution provides comfort. We would like to extend our district heating network as far as it is technically possible. District cooling is yet to be established, and the challenge there is that the financial aspect is not in our favour in reference to electric chillers, mainly due to high initial investment costs. The biggest project now is replacing two coal CHP units with two gas CHP units before 1 June, 2020. Other projects are smaller scale, but still important: to limit leakages to 20 cubic metres per hour, to decrease drop in heat demand and to integrate renewable energy sources and waste heat into the district heating system. Persuading the decision makers that we shall build a new gas CHP plant and raising awareness that energy efficiency measures and environment protection incur costs, and selecting the allegedly cheapest technology must not be always the main goal. And also that heat pumps are recognized as renewable. From the end user perspective, it provides more comfort than other solutions. From the environmental perspective, a large infrastructure system is more energy efficient regarding the use of primary fuel and provides more environmental and air pollution protection. The system is also easier to upgrade to a new technology. From the financial perspective, large installations are relatively cheaper than small ones. 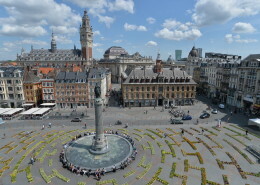 Why has Lille chosen to become a CELSIUS city? 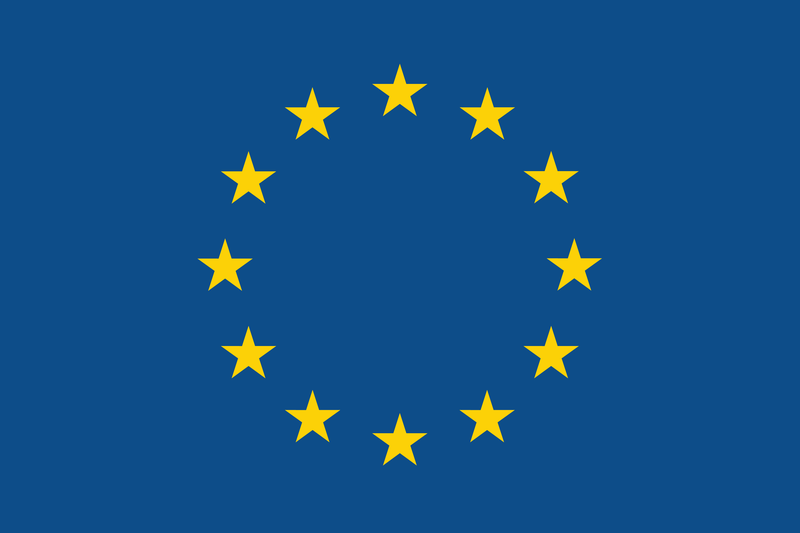 Métropole Européenne de Lille (MEL) adopted its Agenda 21 Strategy for Sustainable Development in 2006, it was then updated through the framework decision of Sustainable Development in April 2010. Then in November 2013 MEL initiated a territorial approach against climate change through the elaboration of an Energy-Climate Plan. The main commitments of the plan for 2020 are to reduce greenhouse gas emission by 30% , the use of fossil energy by 10% and to multiply renewable energy sources by 5. Participating in the CELSIUS project will be a great opportunity to quickly acquire the knowledge and experience that will help us develop our district heating networks in the most efficient way. 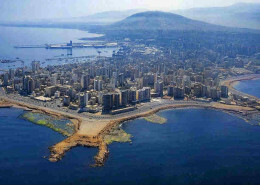 It is an operating company that develops the network based on the city’s urbanisation/expansion. The development has been rather slow, but it is about to take a new dimension. In fact, since January 1st 2015 the Métropole Européenne de Lille has the ability to oversee the proper management and development of the district heating networks, as it has had to determine the use of the land for various years. We now have all the cards needed for a strong development of district energy in our territory. There are no concrete actions to promote or create awareness about DHC in the metropolis. It is not a subject that interests the population today, but that is something we must change. We hope to enhance the value and appreciation of the networks based on renewable energy sources in order to entice end-users and companies to choose this option in the same way they do for the gas and electric networks. To facilitate communication and to better promote the district heating networks, the Métropole Européene de Lille will create a website dedicated to its energy services. MEL’s ambitions are to allow construction or development of networks, increase the use of renewable or residual energy in these networks, reduce use of fossil energy (primarily coal), and ensure competitive prices for system users. We are looking to develop the district heating networks based on sustainable and renewable energy sources. Given our territory’s industrial history and present situation, there are many potential waste heat sources that can be exploited for this purpose. One of our goals is to double our district heating by 2030. To support this growth we are looking to connect a waste incineration plant that is about 20 km from the main network in Lille. This network could not only supply new customers and eliminate the use of coal and gas as heat sources, but also set the road for the development of other networks along the way. To find the best technical solutions to limit heat losses and minimize costs in the transportation of heat over 20 km. To set up the right business model and price setting in order to stay competitive compared to coal and gas prices, which are currently very low. Additionally, we would like to facilitate public/private operations in order to maximise the use of waste energy sources at the pest possible price. It is the best technical & economic way to use renewable energies as a source of heating on a large scale. The prices are more robust and less vulnerable to the financial risks or contingencies compared to other energy sources. It is also a solution to reduce CO2 emissions in our territory. What opportunities have you seen for your city’s development of district heating and cooling through the CELSIUS offerings? It is a quick way to acquire feedback and expertise on the development and modernisation of district heating networks. We are particularly looking for engineering, decision making and ownership tools to help develop the district heating networks in the Metropolis. It is also a good way to communicate about our policies regarding the development of our networks on a new territory. Do you have any specific district heating and cooling plans or projects that you would like to initiate during your participation in CELSIUS? 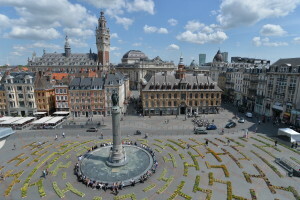 The European Metropolis of Lille aims to double the district heating network before 2030. To do so, before 2025 we would like to create a district heating network from the waste incineration plant, which is about 20km away, to the substations. This network could supply new users and eliminate the use of coal and gas as energy source, but also create an energy highway and develop new district heating networks on its way. With CELSIUS knowledge and support, we believe we can modernize our district heating system more effectively. An exchange of good practices is fundamental to implement city strategies and improve district heating and cooling. We expect to exchange knowledge about cooling and heating systems but also about energy data and energy management. We hope to participate in the network of CELSIUS cities which we hope will continue on. 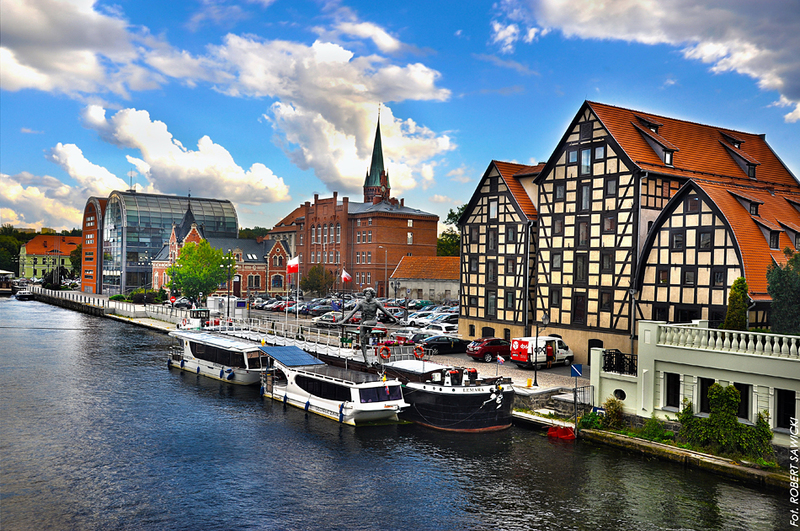 Bydgoszcz has a district heating system since 1963. We provide heating to multi-family housing and private housing as well as to many sectors: education, health care, public authorities, trade and services, and industry. The Bydgoszcz network is 390 km long with 2098 heat transfer stations. 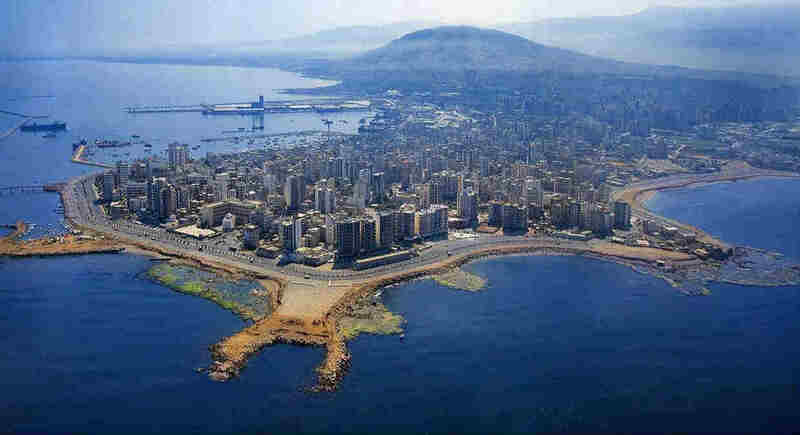 The municipal system supplies approximately 60% of the city’s demand; in 2014 the heat sale was 460 000 GJ. We do not have a district cooling system yet. There is no dedicated campaign about DHC systems. The customers can find all necessary information on our website. There is also a dedicated customer zone and electronic customer office. Once a year the citizens of Bydgoszcz take part in an Energy Days, the district heating system is planned to be one of the subject in 2016. In the coming years we plan to extend the heating system and supply heat to new customers who are currently using individual heat sources. We aim at reaching 80% of the city’s consumption. It is also our goal to connect new objects such as public utility, housing and industry to the municipal heat network. A challenging tasks would be delivering cold to the utility objects (hospitals, schools, administration offices and housing). We consider a testing phase by connecting one of the public buildings to the cooling system. We are continuously taking action against gas emissions and reducing the losses of the heat transmission. Exploitation of heat for cold generation is a big challenge. There is lack of information exchange platforms in Poland that allows heat companies receiving support for trigeneration technologies (CCHP). Another barrier is a lack of compared analysis regarding the costs of cold production. The challenge for extending heat system is providing cost-effective technologies. It is well known that the DH systems have great advantages for instance such as more energy efficiency, use of renewable energy sources, less CO2 emissions, lower cost and tariffs for final users. The other interesting point is that DH is probably the best technology to take advantage of waste heat. District heating is also the only trustworthy system to measure CO2 emission and allow to show the real costs of heating. There is much potential in our automatic control system making people more active when it comes to heating. As a city with an economy strongly based on the horticulture sector, most of our city’s energy is used in the heating of greenhouses. 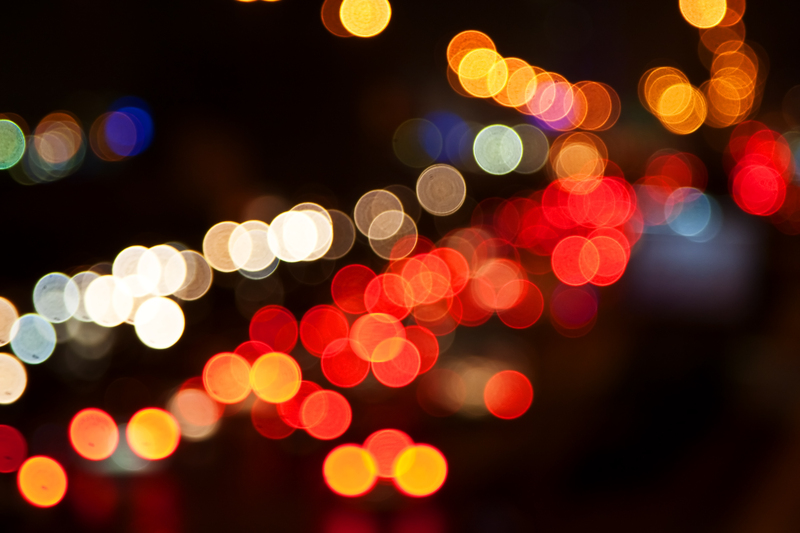 This energy accounts for approximately 70% of our city’s total. Due to this large energy consumption, efficient and reliable heating and cooling systems are vital to our city’s infrastructure. Therefore, more organizational, technical, financial and geophysical knowledge on subject is crucial; thereby, making CELSIUS a very attractive organization to be a part of. We have the ambition to make our city energy neutral in 2050, meaning that we need to sustainably cover our demand for heat as well. This requires large scale efficient heat and cooling systems. In order to organize such systems, technical, organizational and financial knowledge is needed. We hope that CELSIUS can assist us in retrieving this knowledge, or initiate relations between a fellow European city which struggles with the same issues. Currently Pijnacker-Nootdorp has two geothermal energy sources supplying heat to two horticulture companies, a pool, several apartment buildings and a series of houses. Due to this we already possess knowledge on the subject which we could share with our European colleagues, especially when it concerns the horticulture sector. What is your vision of how and to what extent you would like to be using district heating / cooling in the future?/ Do you have any specific projects that you would like to realize within district heating/cooling? In five years the province of Zuid-Holland wants to create an energy hub, called the “Warmterotonde,” which focuses on the exchange of heat between various cities in the region. We would like to be part of this energy hub. In addition, we perceive the “Warmterotonde” as a great opportunity to create a reliable and sustainable heat and cooling source for the horticulture and residential sector. Moreover, besides the energy hub, which is being implemented through the entire province of Zuid-Holland, Pijnacker-Nootdorp is also exploring the possibilities for smaller district heating and cooling systems. The creation of new geothermal heat/cooling sources and the exchange of heat between horticulture companies and residential areas is something we would like to explore, regardless of the realization of the energy hub. Scale is an issues we are currently dealing with. The energy hub is a challenging project with regard to its organizational, financial and technical aspects. District heating systems have been realized before, but never at this scale. Another challenge could be the competition for the subterranean soil. Not only geothermal heat requires space in the subterranean soil, but this also goes for subterranean water storage and drinking water retraction practices. All these activities could negatively interfere with one another. Due to the differing demand for heat/cooling between companies and residential areas, the exchange of these products could increase efficiency dramatically. A large district system for heat and cooling also ensures the availability of heat and cooling in a large quantity, thereby enhancing the security for the delivery of these products. Parkstad Limburg has the ambition to be a frontrunner in the reduction of fossil energy consumption. 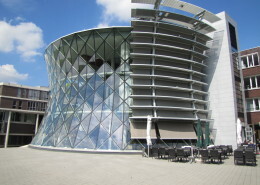 The former coal industry made Heerlen with surroundings the energy centre of the Netherlands. The abandoned coalmines are again becoming important for the local energy system, but now – due to filling with rainwater – as source for geothermal energy and a considerably sized long-term storage facility. Parkstad has formulated its ambition to become carbon-neutral in 2040 in a plan called “PALET”. These plans are now being translated to roadmaps and political agendas. Parkstad wants to share knowledge with other ambitious cities and regions in order to facilitate and accelerate these processes. An important technical and financial driver for the PALET ambition is the Mijnwater DHC grid. 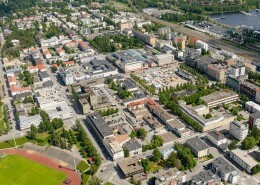 In October 2008, a low-temperature district heating system was launched in operation. Originally this grid was fed by geothermal energy form the abandoned mine reservoirs and delivered heating and cooling to connected buildings. When the mine water reservoir reached the limits of its capacity, the grid was transformed to a 4G DHC cluster net, in which connections exchange energy, multiple sources of waste heat and green tech can be exploited and the mines will be used as a long-term backup storage facility. The grid development is promising and innovative. The experience of Parkstad can be exported to other cities. Parkstad would also benefit from upscaling the concept to other areas. 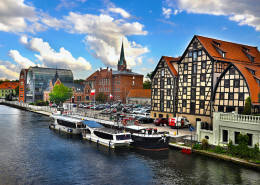 From CELSIUS Member Cities, Parkstad Limburg can gain knowledge to help the city become a carbon neutral region in 2040. As a middle-sized urban region (with 250.000 inhabitants), not all issues can be solved individually. Cooperation and knowledge exchange are needed to accelerate the process. For technical solutions, like Mijnwater DHC grid, it is important to enlarge the market. This will reduce prices and risks, ease opportunities for financing and social acceptance (trust) and give easier access to industrial components and knowhow from consultants and installers. Instead of the fragmented acquisition of knowledge based on an incidental project spread over multiple regions, we welcome a continuous and structural acquisition of knowledge based on energy transition in more regions, which can be used as a blueprint for other regions. The current Mijnwater system was developed in several stages. The original Interreg pilot (Mijnwater 1.0) aimed to discover ways to utilise energy from stored water in the abandoned mining reservoirs. Based on this idea, the system was further developed into a smart grid connected to many buildings. The innovative Mijnwater 2.0 Smart Grid is based on mutual energy exchange between buildings within the network and supported by the existing mine water backbone. The energy transfers are supported and controlled by a fully automatic demand-driven system suited for multiple sustainable sources such as PV, biomass and solar thermal energy, as well as additional buffers in the network grids and buildings. The buildings are connected by all-electric energy stations (100% heating and cooling with heat pumps). The city aims to stop exploiting the mine water reservoir as source but instead us it as an energy-balancing geothermal storage. The reservoir is regenerated by the available (waste-) heat and cold in the built environment and other sustainable sources. With the current step in the development of Mijnwater 3.0 the city is creating energy-neutral areas based on green electricity and a gasless heating concept. Mijnwater has demonstrated a proven approach over the past ten years, by providing heating and cooling to more than 300 dwellings and 125,000 m2 of commercial buildings, and by 2026-2017 Minjwater is expected to provide heating and cooling to 500,000 m2 of commercial buildings. In the PALET executive roadmap an expansion of the Mijnwater grid is foreseen from 200.000 to 2.000.000 m2 floor area in the next 5 years, bringing the grid coverage to 10%. The expected coverage for 2040 is 70-80 %. If the connected building stock is insulated, it would save 30-50% of the energy consumption. The remaining energy need will be supported to be delivered 100% CO2-free. On area level the Mijnwater concept will deliver the remaining energy need by 100% CO2-free support. The expansion of the grid necessitates an expansion of existing clusters and an addition of new clusters to the grid. Also the storage and green generation capacity of the system needs to be upgraded by new elements. Mijnwater will improve the performance of the system by adding intelligence and further reduce losses. Mijnwater is moving towards a ‘demand and supply controlled system’, which recognizes different demand patterns as a function of time to integrally optimize the energy supply for a community of consumers. Strategies are based on weather forecasts, user patterns, and taking into account the exergy level of available sources. For this an intelligent, self-learning and adaptive controller is in development. The project is called STORM (Self-organizing Thermal Operational Resource Management) and executed by Mijnwater and four European partners under the Horizon 2020 EE13 programme. The energetic and financial performance of the system are strongly dependent on the number of connections in the city. For optimal exchange, minimal infrastructure, local storage, local generation, and a feasible business case, a connection degree of 30-50 % is needed. The political and social aspects are big challenges to overcome. On the one hand this is the result of negative experiences in the past with DH-systems. On the other hand it is a lack of knowledge in the potentials and benefits of innovative 4G DHC systems. As a result it is also difficult to find big investors for financing the new infrastructure. Low temperature solutions, because the facilitate a low exergy approach. Because buildings only need low grade energy for heating and cooling (for instance water of resp. 18 and 30 °C), DHC grids can provide this need and thereby leaving higher graded energy sources (like biomass, electricity) to other sectors like transport, industry, IT, etc. Mijnwater shows in the cluster approach that a modern, intelligent, and sustainable hybrid energy infrastructure based on energy exchange instead of purely energy supply is (financially) feasible on larger scale. The spatial consequences of a DHC grid are very small. Within the buildings, but also in the area, installations are built underground and cannot be seen. The installation do not disturb the landscape and need very little space to be realized. The infrastructure can very well be combined with other infrastructure elements. Due to reducing fossil consumption and transforming this into sustainable investments the region becomes energy independent, creates local employment, gains attraction as region for skilled potentials and secures a long-term assurance regarding energy costs. We believe that intelligent district heating and cooling systems have a role to play in the evolution of our city’s energy systems. The experience of the City on this matter makes us think that it is not anymore a choice of Cities, but just a matter of finding the best solutions to reduce emissions and the consumption of energy. Sinec 2009, Issy is working on friendly solutions for the environment, in particular on an Eco-quartier at Fort d’Issy and Issy Grid, a Smart Grid in the business center of the City. The participation to Celsius can represent for Issy a plus in terms of exchange of best practices with other Cities and bodies involved in Energy management. An exchange of good practices is fundamental to develop and implement City strategies on energy and District Heating and Cooling. In our experience, exchanging on any subject with other Cities is a boost to innovation and development. Additionally, CELSIUS also provides technical expertise and, particularly, it can propose solutions to find a sustainable business model on these solutions. 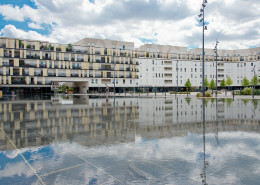 The City of Issy-les-Moulineaux would bring to the project its experience of a pioneer City in France about innovative energy systems, following the “Fort d’Issy” eco-neighbourhood project, that made possible the heating and cooling of 1,623 homes and public leasure facilities with geothermal power. The city regularly communicates to citizens about new ways of managing Energy Systems, including the use of District Heating and Cooling through Geothermic systems. Additionally, the City strongly involves various business partners to participate and to communicate about the solutions that are in place in Issy. Actually, many foreign delegations have been visiting our installations from all over the world (China, Japan, Belgium and many more). A milestone of Issy is the Digital Fort’s Eco-district, a new living space built on the location of an old fort. The Fort is an innovative district combining technology (smart accommodations equipped with very high speed internet, intranet, sensors, …), innovative environmental protection systems (geothermal energy, air-powered collection of waste…), with 1,623 homes, 1,500 sqm of business, public leisure facilities (a nursery, 2 new scholar groups built in wood and straw, a brand new Feng Shui swimming pool….). 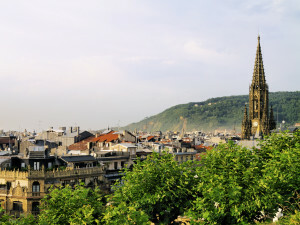 The eco-district is connected to the IssyGrid®project, the very first district level smart grids in France. 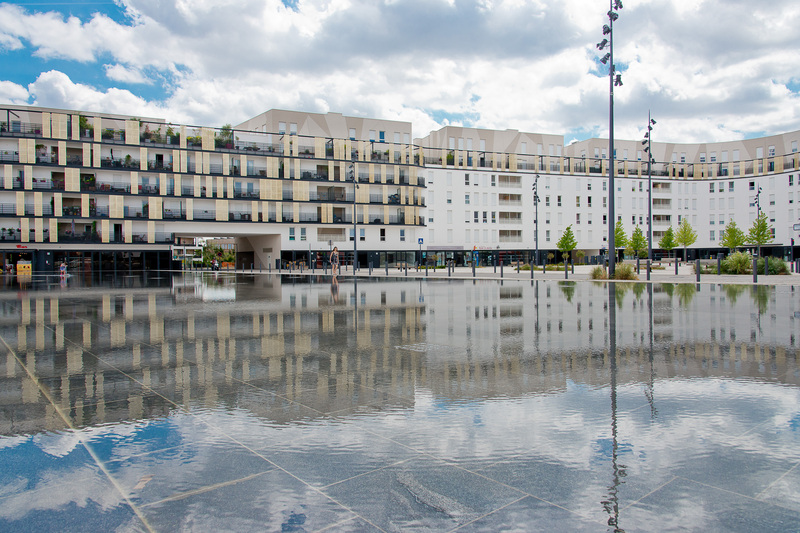 From 2012, this project was conducted on a public private partnership including big companies, SMEs and start-ups such as Bouygues, Total, Microsoft, EDF, Alstom, Schneider Electric, Navidis, Sevil, IJenko and EMBIX that collaborates with the City of Issy-les-Moulineaux and the Urban Community. Actually, as Global warming is linked to a growth in CO2 emissions, by adopting geothermal Fort Issy, reducing the flow of garbage trucks, deploying bicycles and electric vehicles in self-service or for reducing traffic congestion in the City thanks to another project about Smart Mobility, called So Mobility, Issy continuing goal is to have a reduction of C02 emissions (objective of -20 to – 30% by 2020). Develop strategies for designing, financing and constructing intelligent district heating and cooling systems in those areas of the city where these systems have been prioritised as the optimum solution. Added value represented by these solutions for sustainable development of the City. These solution can bring an important added value to the City and its Citizens. Rationalisation and better management, through district heating and cooling, can represent also a solution for budget restrictions that are lately affecting Cities (including lower pressure on Citizens in terms of taxes). We have chosen to become a CELSIUS Member City because of the economic and ecological advantages district heating and cooling provide, as well as the technological development knowledge. It also respects the environment, reducing polluting emissions to the atmosphere. hospital in the coming months. enthusiasm to position the university of Valladolid within a frame of reference. technological developments within the field in which it is developed. installations involved in this technology. 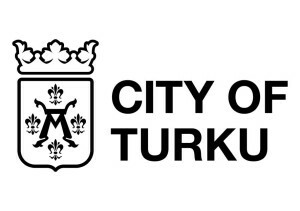 The City of Turku has a goal to be carbon neutral by the year 2040. It is a tough target, and we are willing to learn from others in order to be able to reach the target. One part of this is enhanced co-operation in the field of district heating and cooling solutions. 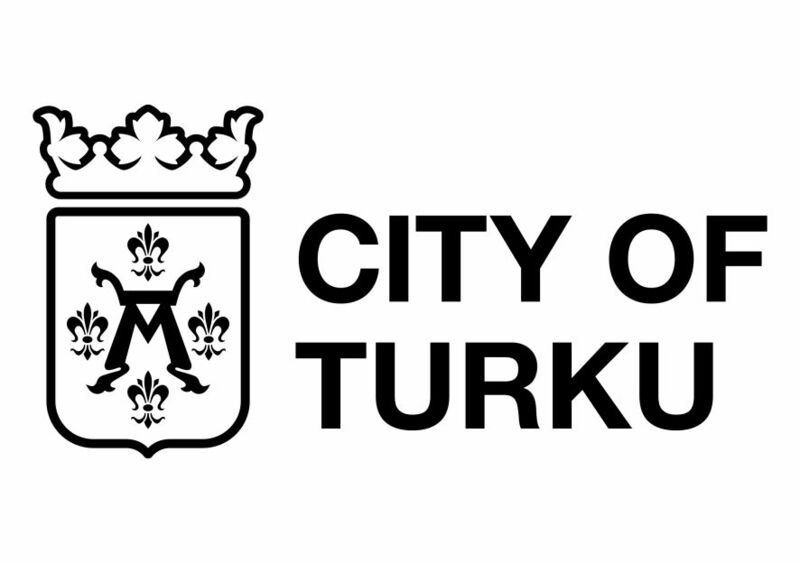 The City of Turku has included energy and climate issues in the city strategy until 2029. Energy efficient and resource efficient practises will be extended to cover all city operations. In the energy system, the share of renewable energy will be increased and intelligence of the energy system will be developed further. We are willing to learn new ideas and best practices in the field of district heating and cooling. Thereby we can find new smart and innovative energy solutions that can be included in the city planning regarding new housing areas. District heating activities started in Turku in 1970’s and today district heating supplies about 90% of the buildings in Turku city. It is the most popular heating solution in the city. 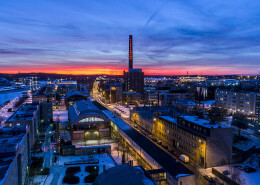 The sales of district heating in Turku and neighbouring cities is about 2 TWh per year. District cooling was started about 15 years ago and the amount of district cooling delivered to customers is today a bit less than 40 GWh per year. In the communication, a key message is that district heating is a key enabler for the target to be a carbon neutral city. During the years 2015-2020 the share of renewable sources for district heating will grow significantly to over 50% of the total amount delivered to customers. This is communicated to city inhabitants, as the origin of district heating is not an easy issue to understand for everybody. We are willing to develop the existing district heating and cooling solutions further in the future. District heating and cooling will be, also in the future, the main source for heating and cooling in the Turku region. The district cooling network needs to be enlarged and this needs investments. New concepts and innovations in this field are interesting for us in general. The district heating and cooling networks need to be built for new housing areas. 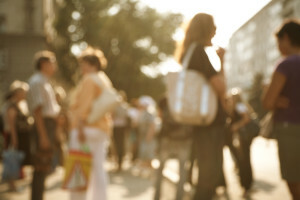 The cooling network is growing significantly by connecting new customers in existing areas as well. The solutions for new and existing customers need to be smarter and integrated with other infrastructure to enable the smart city solutions. It is a solution which enables significant reductions in carbon emissions on city level and is as such an energy efficient solution for heating and cooling. It brings the needed everyday comfort to people’s lives and is an easy solution for building owners. We plan to optimize our district heating generation, distribution, and storage and to adapt to the current framework conditions. For this, we hope to be able to learn from other cities. What would your city expect from this project? We hope to join an intense exchange of knowledge and experiences. In this way, new solutions can be developed together. How advanced are your systems for district heating/cooling today? The district heating network is approximately 280 km, with 750 GWh/a and the district cooling network is approximately 5 km, with 12 GWh/a. 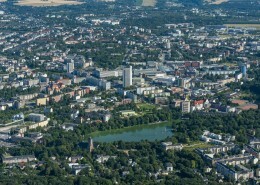 The district heating network in Chemnitz has been in place for several decades. It is already accepted and integrated as an energy source in the municipal heat supply. Specifically, in the downtown area, it is our most important heat supply. How and in which dimension do you want to use district heating/cooling in the future? What is your vision? Also during the energy transition, DHC is an important urban heating source. 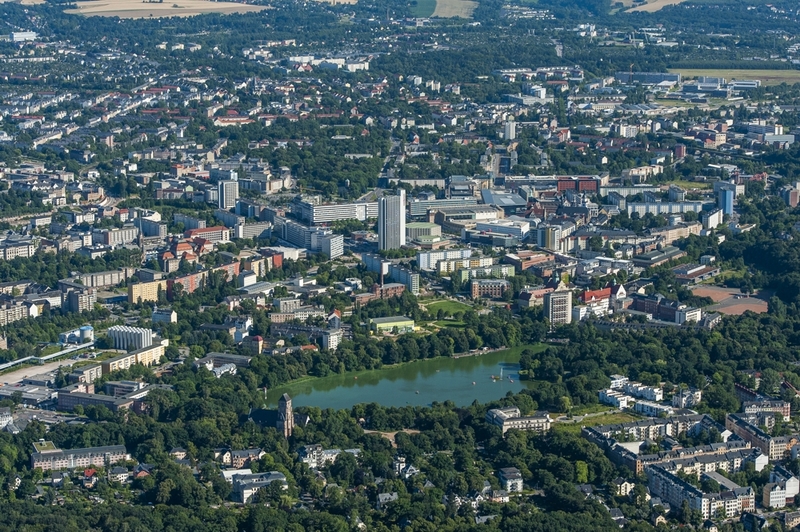 A study of the local supplier Eins Energie in Sachsen GmbH & Co KG is investigating the potential of future DHC in the city of Chemnitz, answering questions such as: What will be the demand in the future? Where will the demand be located? How can the network be optimized? What are efficient technologies for heating production? The main goal for the future is a certain: affordable, economical and low-emission heating and cooling supply in Chemnitz. Do you have any specific projects that you would like to realise within district heating/cooling? 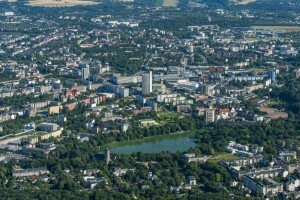 The neighborhood energy concept for the Brühl district in Chemnitz is a project that is going to install a low-exergy-network for the heating supply of the district. The specific features are using return water from the DH network to cover part of the heat demand, installing solar heat from a solar heat plant (1,2 MWth) in an undeveloped area nearby, and using a big storage tank to optmise the use of the heated water from the solar plant. It is a financial challenge to develop an existing district heating system. With the infrastructure in place, much higher economic and environmental goals can be achieved in the future. We would like to create conditions in order to meet this challenge together with all stakeholders. 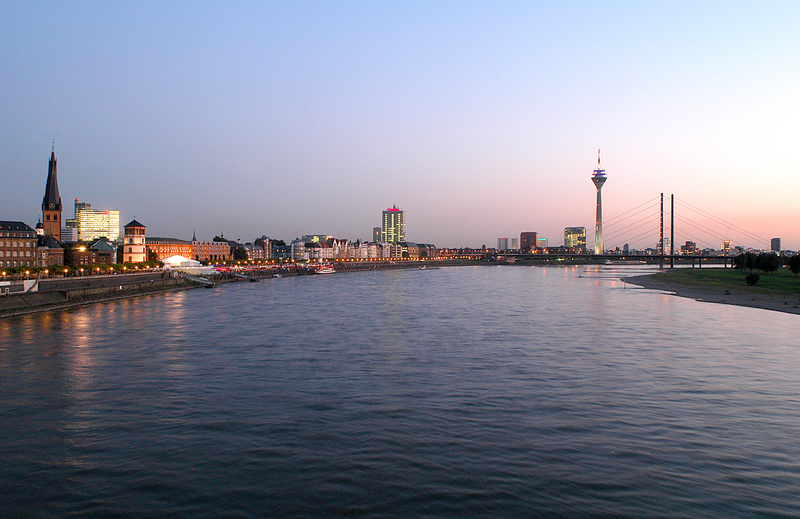 What are the 3 main challenges and how can CELSIUS help your city? In your opinion, which advantages has the district heating/cooling for the future? A district heating system can supply a variety of buildings. It can also be a great contribution to achieve the climate protection target when generating the heat with renewable energy. 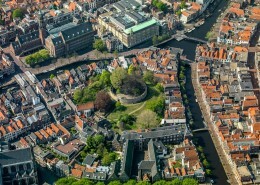 The municipality of Groningen has set itself the goal to be energy neutral by 2035. To achieve this ambition Groningen focuses on a number of promising tracks, including ‘Heat’. Groningen has chosen to become a Celsius City with the aim of sharing knowledge and to improve and intensify regional cooperation. 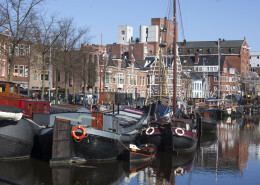 Groningen is part of the Energy Valley – a foundation that wants to stimulate the use of sustainable energy use in the northern part of the Netherlands. Participation in Energy Valley has made a lot of knowledge available and strengthens cooperation between Energy Delta Institute , Energy Academy Europe , Entrance , University of Groningen , Hanze University , DNV-GL and TNO. Joining CELSIUS offers Groningen the opportunity to exchange knowledge and experience with other cities and to connect to a network of cities with similar projects. 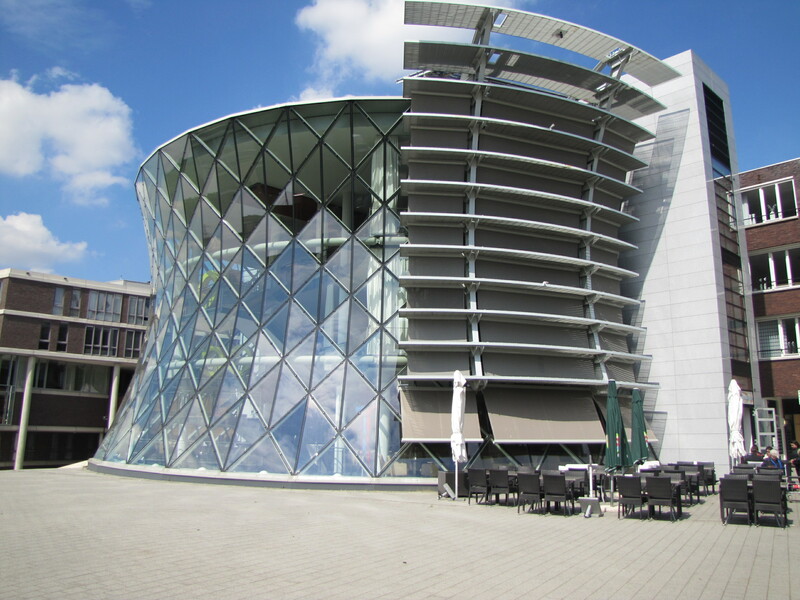 Various projects, including various thermal storage projects, are implemented in Groningen. By far the biggest project is the construction of a heating network for over 10,000 household equivalents using a geothermal heat source. Representing a saving of 10 million cubic meters of natural gas, this project is in the decision-making phase and the first homes will be heated with geothermal heat in 2017. The current situation is still focused on geothermal energy as the only heat source. The possibilities for supply of waste heat and / or biomass are examined. Waste heat and geothermal energy together may provide the entire heat demand in Groningen. The vision of Groningen for 2035 is a network in the city that provides heating and cooling to more than 40,000 residential equivalents. A variety of sources – waste heat, biogas and geothermal energy in particular – combined with underground storage would ensure that no heat is lost unnecessarily. A contribution of 15 %, representing a reduction of 102 kilo tonnes of CO2 per year, shows that renewable heat next to green energy and energy efficiency makes a full contribution to reducing CO2. The decision to construct the heating network on geothermal energy is a major decision and in the coming months there will be the big go or no go decision. Thereafter, the biggest challenge will be finding financing and attracting enough customers. After this major project, the challenge lies in the development and realization of subsequent projects in order to achieve the final ambition. Energy transition in the city of Groningen is a mix of measures ranging from preservation of the network, solar energy, energy conservation to renewable heating systems. To meet the goal to be energy neutral by 2035, we have to make optimum use of all available opportunities. As Groningen has a favourable geological structure for the production of terrestrial heat and the northern districts of the city are appropriate for heat network building typology; it is a logical choice to redeem this opportunity to sustainability. 1. Why have you chosen to become a Celsius city? Westland is one of the most famous and biggest greenhouse horticultural clusters in the world. Essential for Westland is the provision of energy for an affordable price. Nowadays, natural gas is the main source of energy. Westland believes that this is no longer a sustainable solution and therefore we invest heavily in the energy transition. Heat and heat infrastructure related issues are important components of the new energy infrastructure. If you want to go far, go together. Westland therefore wants to cooperate with other cities to achieve its future sustainable energy infrastructure. 2. What would your city gain from doing this? Main driver for the city of Westland is to work together. Working together is about learning from others and exploring new opportunities together. Furthermore, Westland realizes that multiple stakeholders are needed to reach the objectives and to convince (European) institutions. 3. How developed/widespread are your systems for distance heating/cooling today? In our city a number of private district heating networks are realized based on geothermal sources. There are two types of geothermal sources: deep geothermal sources (deeper than 2.5 km) and less deep sources (WKO). The number of geothermal resources is growing. It is apparent that a heating network covering the whole area of Westland is only a matter of time. 4. What is your vision of how and to what extent you would like to be using district heating / cooling in the future?/ Do you have any specific projects that you would like to realise within district heating/cooling? As mentioned, a Westland-wide network is only a matter of time. Until that moment, Westland will work on private / public geothermal projects and ‘Cluster West’. The latter is a large-scale heat network with industrial waste heat which is used to heat the greenhouses. 5. What do you see as your biggest challenges to achieving this goal? The biggest challenge is to develop a united vision with all the different stakeholders. We need a united vision to succeed in the energy transition. 6. In your opinion, what makes distance heating/cooling a good solution for the future? Westland uses every year 1 billlion m3 of natural gas. The energy transition is a success when we use renewable sources instead of natural gas to meet our energy demand. The sooner the better. We are in the beginning stage of district heating and cooling, so we want to do it right and we believe that CELSIUS is the best to help us do that. Our city will understand the importance of district heating systems and most importantly people will become aware of the benefits of district heating. How developed are your systems for district heating and cooling today? In 2010 a governmental research company, Tubitak, made feasibility studies for district heating, after which the City of Soma and the Soma Electricity Company built one pump station and a small network to give service to some buildings in Soma. 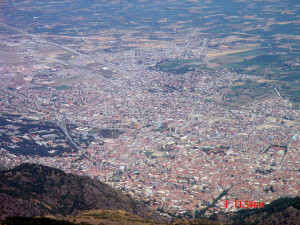 After becoming a metropolitan municipality, Manisa took over the responsibility of district heating and is now in charge of construction in Soma. 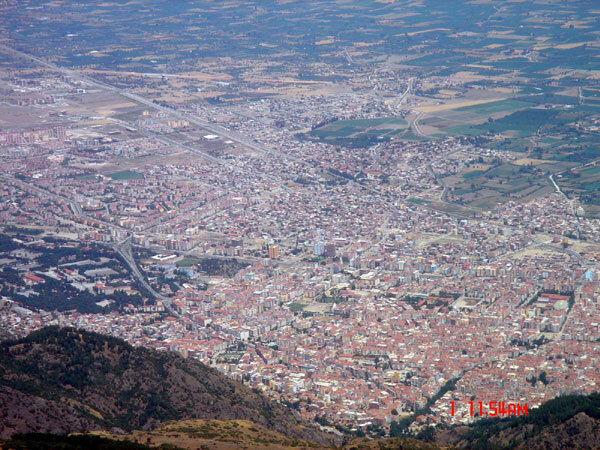 People get news from the Manisa Metropolitan Municipalities website and the district heating office in Soma. 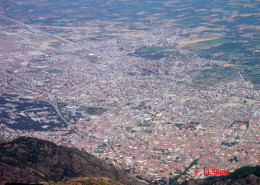 Manisa plans to extend the district heating system in other cities in the Manisa district. At this time our biggest challenges are technical difficulties. In your opinion, what makes district heating and cooling a good solution for the future? This is a resource efficient system that also is beneficial for the environment. Leiden becoming a CELSIUS member city is an excellent next step in the cooperation agreement between the municipality of Rotterdam and Leiden. The municipality of Leiden has big ambitions on sustainability, both on energy savings and the generation of renewable energy. Sharing information and experiences, on policy and technology, between cities, which face the same challenges, is important, and Leiden is looking for ways to increase cooperation with other cities, nationally and internationally. Leiden has a district heating system since 1983. Over 8.000 households and 200 companies are connected to the grid. Leiden does not have a district cooling system. Via the newspapers and internet on developments regarding DHC in Leiden, the energy distributor reaches out to people who are connected to the heat grid via personal letters and information pamphlets. 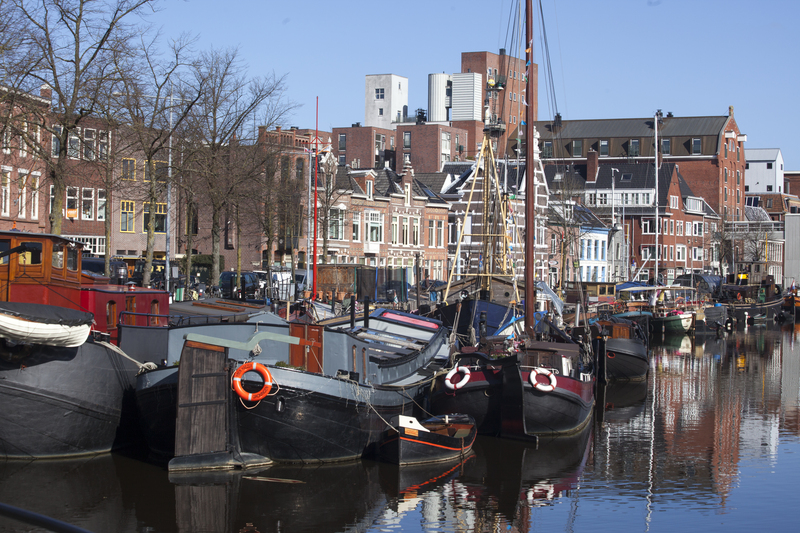 In the year of 2016, the municipality of Leiden will draft a vision on how to heat and cool its city in the future. This vision will incorporate all possible solutions, preferably sustainable, on how the heating and cooling supply will develop in the future. A possible outcome of this drafted vision in an expansion of the current district heating system. The preferable solutions for the future heat supply in Leiden have to be broadly carried by all stakeholders in the heating chain. The public support for the vision on future heat in Leiden is the biggest challenge, because there are no incentives for energy savings and the existence of obsolete installations in some areas. Recent developments and the possibility of changing DHC policies have the possibility to level the playing field and reverse the negative attitude towards DHC. Heating buildings takes up a large share of the energy mix and therefore it is paramount that this heating is done in a sustainable way. With the infrastructure for transporting and distributing the heat in place, it is going to be possible to phase out less environmentally friendly energy sources and implement alternative energy sources. 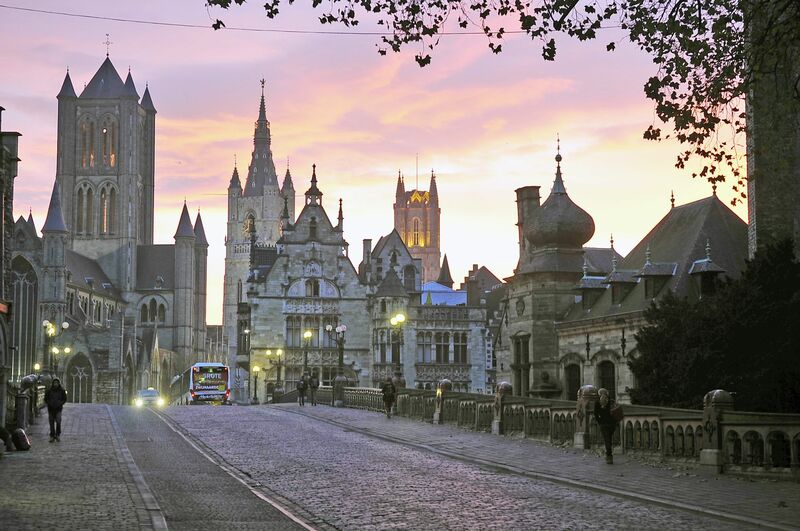 Ghent is investigating the expansion of the existing district heating network of EDF Luminus and the opportunity of new networks in other areas of the city. Learn from other cities with similar challenges in order to speed up the process. 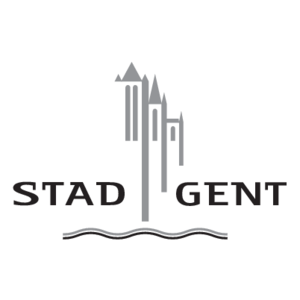 Gent has a small hot water network of 11 km (38 MW, 80 GWh heat/year), EDF Luminus and a steam network, IVAGO between the incinerator of this waste company and the Ghent University Hospital. 1) Define areas in the city fit for new district heating/cooling on industrial waste energy. 2) Improve the CO2 impact of the existing network of EDF Luminus by feeding the network with a higher amount of renewable energy, by making the grid more smart/ controllable and by taking measures in existing buildings so that the temperature in the network can be lowered. And 3) Realize in city development demonstration projects of collective heating and cooling. There are concerns who should be the owner of new networks, a private or public party, and how we can guarantee that different network fit in one overall strategy. The end user wants more comfort, not a higher bill. What means this upstream for the choices that have to be made: to make an economic viable heating network, a commitment for 40 years is needed, but after 10 years the world has changed, influencing the business case: this is a problem and the puzzle might not work anymore. District heating is not the solution for everyone and the end user is not always asking for sustainable heating solutions. Important is to acknowledge the threat of creating a monopolist: the end user is suspicious for this. Many inhabitants don’t like the idea of being dependent of one party. Avoiding lock-ins. It is difficult to increase the amount of renewable energy of the existing network due to its high temperature: 125°C. The options are often only biomass while biomass causes other emission problems (fine dust, transport, …). Same issue for CPH. It will be a good solution when waste heat is being use instead of wasted. And benefits for households that do not need to worry about heating or fire hazards. 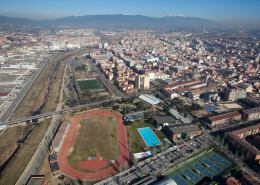 Sustainable energy policies in the city of Granollers have been a clear commitment the last ten years. In 2008, the city was among the less than 200 Covenant of Mayors signatory cities in Europe, and approved its SEAP one year later, in 2009. Furthermore Granollers has been a part of European projects such as Green Partnerships which aims to support local administrations to overcome existing obstacles and effectively implement the set measures on the way to energy efficient cities and regions. The city signed up Mayors adapt in 2014 and works this year to develop a comprehensive local adaptation strategy integrated into relevant existing plans. The adaptation strategy will aim the city resilience to the inevitable impacts on climate change, now and for the years to come. 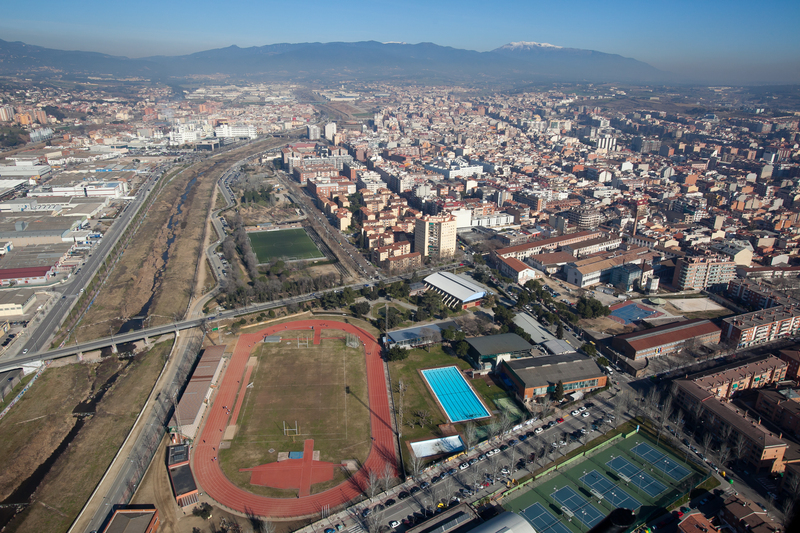 Granollers began to work two years ago in an ambitious and innovative project with a few references in Spain: the EcoCongost. The main objective of the project is the improvement of the use of energy in an industrial area, using renewable sources and surplus heat among different industrial companies and two biogas production plants (sewage and waste treatment plant). The EcoCongost wants to create a singular industrial zone that is able to improve industries competitiveness lowering their energy costs through sharing a high-efficiency cogeneration and district heating in a concentrated demand area for heat. CELSIUS will help Granollers to advance into the low carbon and resource efficient city that local energy policies aim to reach. Around 47% of energy consumption in the city is used by the industry sector, and the innovative and financially competitive thermal grid concepts that the project CELSIUS studies will show Granollers the best solutions to increase the use of waste energy in this sector. CELSIUS will provide awareness of the best practice solutions and information about capturing and using recovered industrial heat and the use of biogas in smart district heating. At the same time CELSIUS gives the opportunity to contact with technical expertise from leading energy utilitites organizations and from research and innovation, to avoid common errors in the ECOCONGOST cogeneration and district heating project. 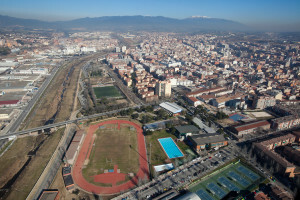 At the same time, becoming a CELSIUS city, Granollers will also have contacts with cities and administration bodies with previous experiences and will increase the project visibility to facilitate future stages of the project. An inventory of district heating and cooling (DHC) networks done by ADHAC and IDAE in 2012 identifies 56 DHC in Spain: 35 are exclusively heating systems, 19 heating and cooling and there are only two cooling systems. The users of the DHC are commercial (52%), homes (35%) and industries (13%). 28 District Heating systems in Spain use only biomass, 14 natural gas, and 2 only electricity. There is still a long way to go to develop as many systems for distance heating/cooling as the ones that exist in the northern Europe today. Furthermore, for the industrial sector there is not a widespread use of DHC today. Catalonia has different systems built and for DHC there are three big systems close to Granollers: DISTRICLIMA and ECOENERGIES (DHC) at the north and south of Barcelona and TUB Verd in Mataró. But none of those systems have been developed exclusively for the industrial sector. ECOCONGOST is mainly focused on the industries, and their process heat. The ECOCONGOST aims to replace the existing heat production systems in industries for a district heating network. Regarding building heating systems used in the industrial facilities, there exists a large variety of systems. Depending on the type of building (offices and production halls) and the existing heating system, the heating network could be easily connected. During the last two years Granollers has been working with the local industries to analyze the technical, social, legal and economic barriers and viability of industrial simbiosis in terms of energy recovery and waste management. Starting this summer Granollers and about 20 of the larger local industrial companies are involved in an energy monitoring campaign. This will enable the city to define the network, the generation plants, and the project economic figures. The main objective in the near future is a heating network to cover industrial heat demand in the industrial areas of the city. The network will be heated by biogas (provided by a sewage plant and a wastewater treatment plant), heat recovery form industrial processes and other renewable energy sources. In a foreseeable future it is possible to extend the network to the residential and commercial city center. The biggest challenge is to guarantee the heat distribution in industrial areas by using biogas, heat recovery and other distributed renewable energy system, as the main energy sources. The large number of actors involved in the project increases the sustainability of the project, but also a special effort on coordination should be done. District heating makes it easier to reduce the CO2 emissions thanks to the possibility to implement local generation using local renewable resources. At the same time, the case of ECOCONGOST focused on the industrial parks, helps to reduce the energy consumption and/or the energy intensity of the companies placed in the industrial areas. This reduction will help to increase in business competitiveness, that will be directly related with local unemployment and the attraction of new companies in these industrial areas. 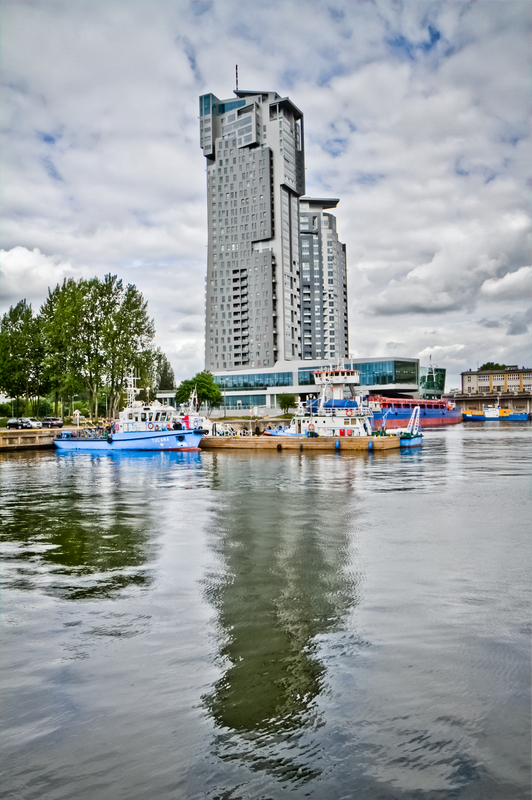 The city of Tilburg has around 210.000 inhabitants. A power plant is situated 40 km away from Tilburg. This plant supplies the heat for Tilburg and the neighbour cities Oosterhout & Breda. In Tilburg, there are in total about 29.000 connections to the district heating network. The City of Tilburg does not own the network. A big problem is the fact that in nine years the power plant will be closed. This triggered a search for other heat sources. The city of Tilburg wants to go forward with the district heating. It reduces the emission of CO2 and brings the goal closer of being climate neutral in 2045. The heating system at this moment is using heat that comes from the production of electricity with still a mixure of fossil and bio-fuel. So, not 100% sustainable. Tilburg wants the district heating system to be 100% sustainable with sources as geothermic heat, bio-heat and waste heat. In this process different stakeholders are involved and among them the inhabitants. Integrating the three different sources of heat. The future situation in Tilburg poses technical and economic challenges. These are interrelated. The economic challenge is a price that can compete with the current situation. The City of Tilburg would like to use heat in the same way as we now use electricity (where electricity of different sources are integrated, and delivered to the network). Technicians could solve the problem on how to integrate the three different sources of heat. 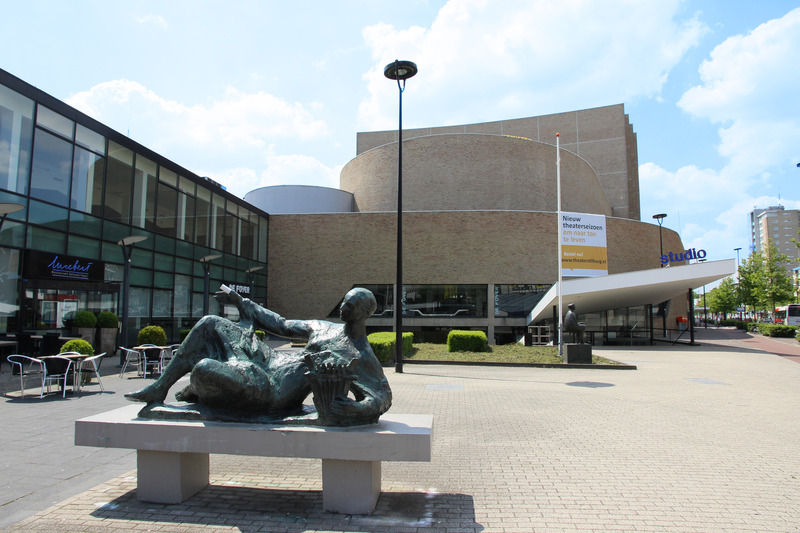 The City of Tilburg is in need of system/infrastructure change and expansion. As the power plant – being the only heat source at the moment – will be closed in 9 years, Tilburg is taking into considerations other solutions: geothemics, biomass and waste energy (from companies). Learning about integration of heat sources with different temperatures, temperature reduction, how to implement district heating in existing buildings and involving housing coorporations. Housing companies do not want district heating, because they do not get EU upgrade ( energy rating). EU rules are preventing a positive attitude towards district heating by housing corporations. Help with creating a heat market with the existing gas and electricity infrastructure, creating heat markets for customers, attracting investors, differentiating new systems versus old systems, and learning about heat pollution (tax) and energy rating for houses. The City of Zaanstad has formulated the ambition to become climate-neutral in 2020, and the biggest challenge is in the built environment. Sufficient waste heat available in the near surroundings of the city has been discovered, and CELSIUS could help with this opportunity. 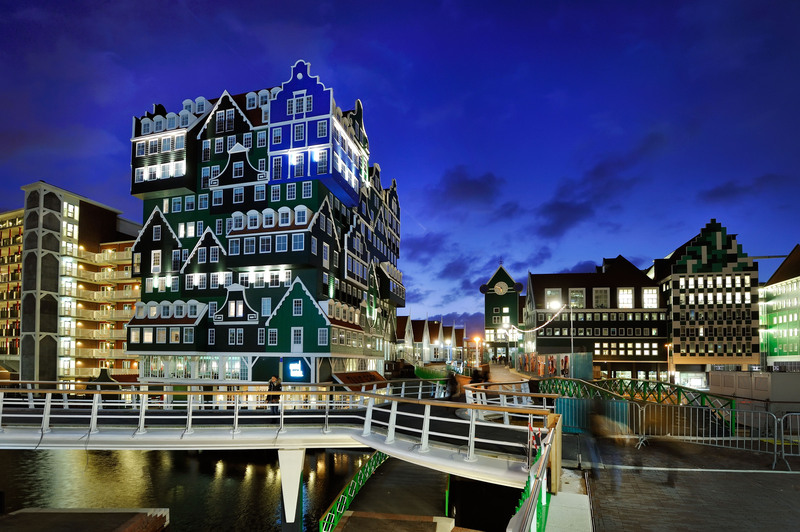 The City of Zaanstad is part of the Metropolitan Region Amsterdam (MRA), which has defined an implementation programme for heating and cooling. Appreciating collaboration with other regions and projects, Zaanstad would like to exchange knowledge on shared challenges such as how a network could structured, how to create an interesting offer for customers, etc. 3. How developed/widespread are your systems for district heating/cooling today? For the moment 1200 houses in Zaanstad-North are connected to heating grid in a relatively small area with a high density of buildings. 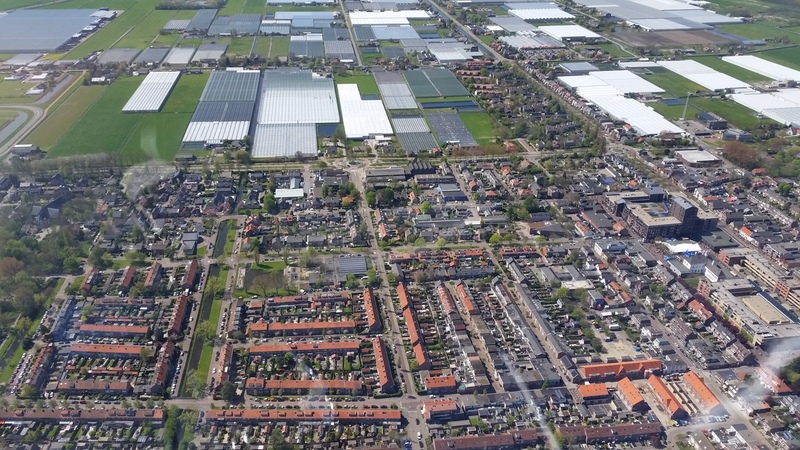 The city sees big opportunities for district heating in the eastern part of Zaanstad, because a many of the houses already have a collective gas heating system. The challenge is how to organize this to make it sufficiently attractive for the customers. 4. How do you raise awareness about dhc in your city? The awareness process was centered around building a business case with all relevant stakeholders. This included representatives of house owners and housing corporations. 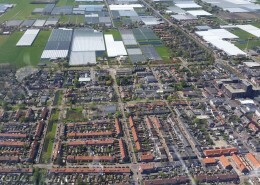 At present the city is working on two concrete business cases: Zaanstad-East and Zaanstad-North. The hope is that an ongoing process will attract more stakeholders to join in. 5. What is your vision of how and to what extent you would like to be using district heating / cooling in the future?/ Do you have any specific projects that you would like to realise within district heating/cooling? The ambition is to introduce DH for a big part of the existing build environment, focusing on high density environments with heat sources in the proximity. Compared to the present gas network, a heating network can contribute to big CO2 reduction, making this solution very environmental friendly. Implementing a heating network is an important step in the transition from fossil fuels towards renewable energy coming from local sources. 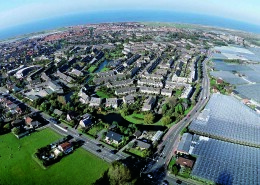 The potential extension of the heating network contributes therefore to the 2020 climate-neutral ambition of Zaanstad. 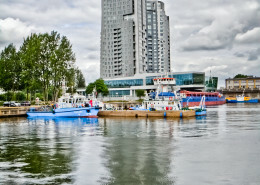 Living and working is closely connected in Zaanstad. This makes the use of waste heat produced by those companies even more efficient. 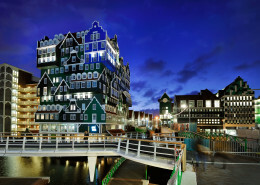 Already in 2013, two years before the cooperation with the Metropolitan Region Amsterdam on heating and cooling was signed, the city of Zaanstad established a cooperation with 21 stakeholders. Together with these companies, energy infrastructure suppliers and potential customers Zaanstad agreed on the way the heating networks could be introduced. 6. What do you see as your biggest challenges to achieving this goal? The chosen focus on the existing build environment makes it a challenge to develop a good proposition for customers that are presently connected to gas: how to convince them for the long term, how to make the proposition competitive with other options but taking the present configurations into account. 7. In your opinion, what makes distance heating/cooling a good solution for the future? The advantage of heat networks is that sustainable heat sources can be easily plugged in. Another big advantage is that heat networks make it possible to take big steps with big volumes towards the climate-neutral ambitions. Within the Metropolitan Region Amsterdam it was concluded that district heating networks was the most economical and social way to realize the climate ambitions of the region. 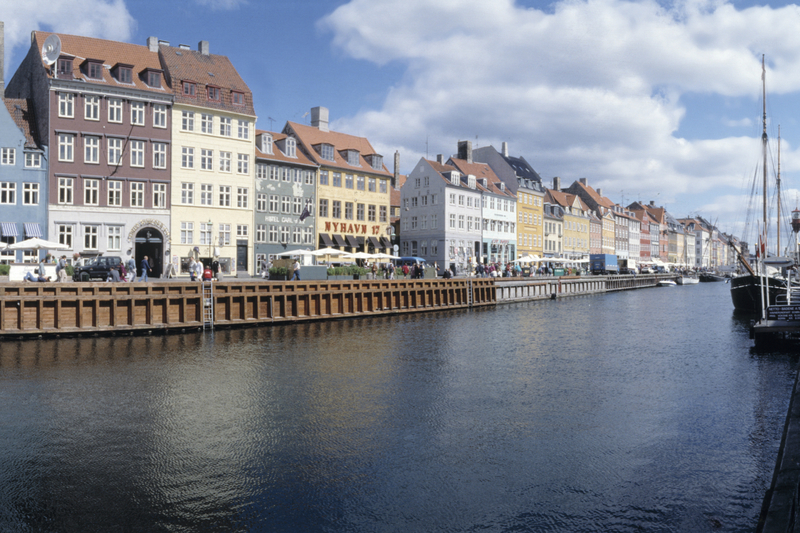 Copenhagen has a goal of being carbon neutral by 2025. Energy production and smart city solutions are very important areas to achieve this goal. We expect to obtain new innovative ideas from other cities and also hope to inspire others from our technological and strategic work. 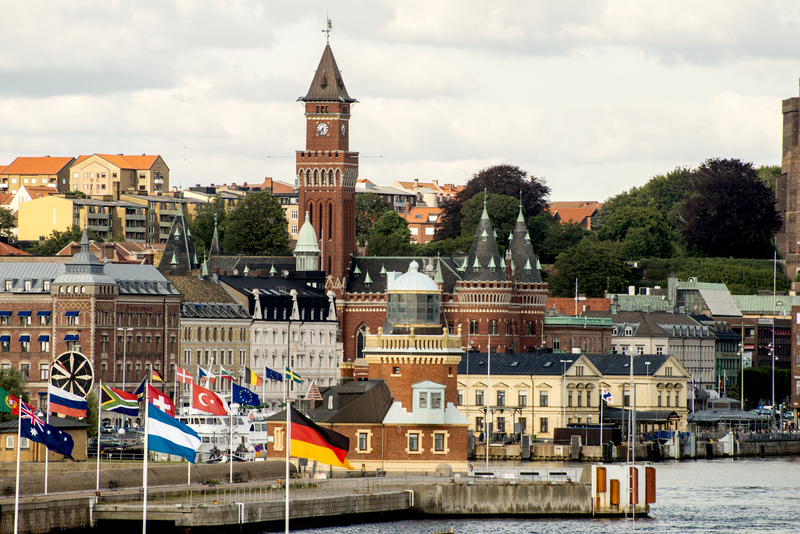 Do you have any specific projects that you would like to realise within district heating? Yes, one of our main issues is peak load. During peak hours on winter days, fossil fuel power plants are activated, using non-sustainable energy sources. So we think it is an interesting pilot project to detach some areas in the city just for a couple of hours to avoid using fossil fuels. Another interesting topic is excess heat from the industry. We do not use much in our system today, so there is a lot of potential. We hope to obtain some new innovative ideas from other cities, and share our expertise from the technology side and political side – what our challenges have been. 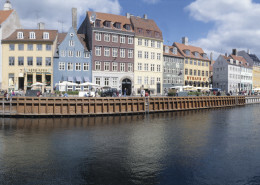 In Copenhagen, 98 % of the buildings are connected to the district heating system, so it is important that the system is as functional and efficient as possible. How developed are your systems for distance heating today? We might have the most expanded district heating system in Europe. But if you think of the potential, there is still a lot to be improved such as reducing heating loss in the system, separating waste plastics and peak hour management. What is your vision of how and to what extent you would like to be using district heating in the future? In the city of Copenhagen we have some networks that are not part of the main system, so we are investigating how and if it is feasible to connect them to the main network. Because of a very high energy efficiency standard in building regulation, houses are very well isolated which means that newer buildings need distance cooling as well. What do you see as your biggest challenges in achieving this goal? Some of our challenges have been to make the district heating network as efficient as possible. I think our utility company HOFOR has done this very well. A new challenge is to make the district heating infrastructure more integrated in the energy system in general and to connect it with other systems and buildings – to make it smarter. 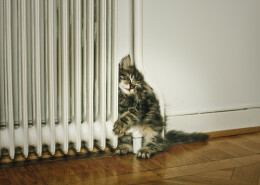 In your opinion, what makes distance heating a good solution for the future? It is the utilization and integration of various energy sources that is a very, very smart thing about district heating. You can integrate different sources that can be best used at different times of the day and the year, particularly in dense urban areas where you do not have space for big energy units. 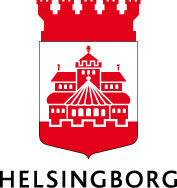 * Helsingborg was a Member City during the Celsius project but has chosen not to participate in Celsius 2.0. 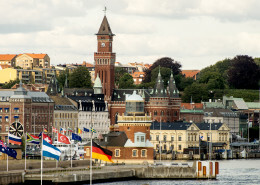 Öresundskraft is now interconnecting two medium-size district heating systems: Helsingborg/Landskrona and Lund/Lomma/Eslöv. Helsingborg wants to share and exchange knowledge of how to interconnect district heating systems. It offers an opportunity to see and learn from other cities´ smart solutions in city development. The DH network is widely spread and covers almost the entire urban part of the municipality of Helsingborg and Ängelholm, with 80 percent market share of heating buildings. The DC network is a rather small network connecting about 35 large customers. Advertising, customer meetings, seminars and additional information that are send out with the bills. 96% of the heat supplied to Öresundskraft’s customers comes from recycled sources. A vision for the future is that all customers that have district heating and/or cooling demand that the systems are using only recycled resources. The biggest challenge is to convince everyone involved to invest in non-traditional equipment. 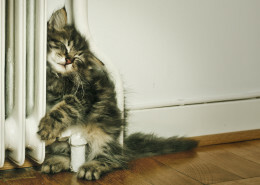 The flexibility of the heating and cooling supply. In the future, we must use energy systems with a wider range of available sources of energy. The district energy networks play an important role to transport the energy from the assets to the demands. The district heating and cooling networks can supply heat and cooling from many different sources to a large number of customers by interconnect them by the networks; this creates the flexibility in using a large range of sources that otherwise would be wasted. As a city, we are very keen on exploring the possibilities with district heating. We are planning on constructing a district heating network, which we do not have presently, so we would like to establish partnerships through the CELSIUS project. Our main focus is the district heating scheme, and over time we may consider an additional district cooling network. We would hopefully gain an efficient, user-friendly system or scheme that is built on the confidence and knowledge that what we are delivering is not only right for the moment but also has the potential to grow and expand. Alongside an effective energy system, we would like to gain knowledge about customer interfaces and how we can help educate people so they would benefit the most from this system. We do not have a system in place yet, but we have a political commitment, we have a financial commitment and we are working hard to develop a scheme in our city in the next three to four years. In the first phase of a city-wide approach to deliver sustainable, low-carbon heat to the citizens of Stoke-on-Trent, we have 20 million pounds allocated plus revenue funding to support development of a scheme in the city. How do you raise awareness about district heating/cooling in your city? We are striving to get a scheme that we can describe to our consumers and we are in dialogue with our stakeholders. Through CELSIUS, we would like to learn from other cities’ experiences and knowledge and pass that on in a wide-spread approach in our city to our key stakeholders. What is your vision of how and to what extent you would like to be using district heating/cooling in the future?/ Do you have any specific projects that you would like to realise within district heating/cooling? We have an ambition to provide a city-wide scheme over an extended period. Our initial ambition is to construct at least 11 km of base infrastructure and connect approximately 10 MW of heat sources. In the first phase, our customers will be large energy users and 1000 domestic customers. Building gradually over time and replacing gas and electrical heating, we will accommodate at many customers as we possibly can across the city. What do you see as your biggest challenge(s) to achieving this goal? One of the biggest challenges will be the public’s perception of what district heating it, because it is a radically different system to what people are used to in the UK. People are very used to individual gas boilers and the idea of relying on a communal based system is unusual and the benefits are not commonly understood or widely appreciated. Secondly, people do not necessarily understand the difference between the cost of energy and the cost of heat. People assume what they buy is all that is involved in heating their homes, they forget all the other costs associated with turning that into heat in their homes. Thirdly, because of the way that we implement heating systems in the UK, people tend to heat their houses in a fairly inefficient way. 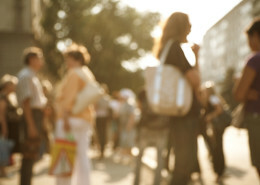 So changing consumer habits is a big challenge. 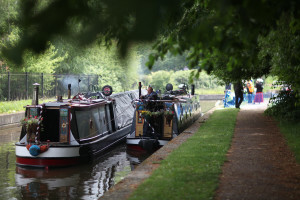 Finally, we cannot rely on future subsidies, so we need to create a commercial solution that will encourage people to connect from day one and commit long-term to enable the scheme to be feasible. District heating and cooling offer more efficient systems compared to the reliance on fossil fuel and inefficient individual heating systems, which are a threat to security of energy supply in the UK. The transition will be gradual, but district heating will give us that opportunity to provide secure, fresh, stable energy and heat to consumers. In order to speed up the district heating and cooling learning process in Antwerp, we would like to learn from other cities that have a more developed district heating systems than us. The network development has become a cornerstone in the city’s energy policy. We agree with the CELSIUS vision that heat networks should have a central role in the energy system. It was due to our fruitful contacts with the partners from Gothenburg which led to the signature of the CELSIUS Letter of Commitment. On the one hand, the CELSIUS network provides a way to improve our contacts with other district heating cities and thus an opportunity to learn from each other. On the other hand, the CELSIUS project also develops a lot of valuable information that we can use. We are particularly interested in the experience from the demonstrators like the heat storage hub, extension of district heating networks and district heating to white goods. In the past there were several heat networks in Antwerp but they were almost completely dismantled in the 80’s and 90’s. 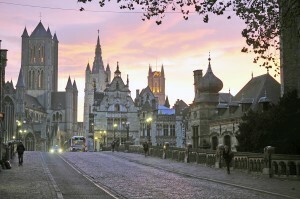 Recently heating networks are more attractive again in Antwerp. In early 2015 we started the construction of a new district heating network in the Nieuw Zuid area. In 2030, this network will provide more than 5,000 inhabitants with sustainable heat. Meanwhile in the North of the city, we are working on the business development of a new large network, supplied with industrial waste heat. We are planning a system for more than 10.000 inhabitants. This can then grow to provide more than 50.000 inhabitants with heat. We hope to start the construction in 2018 and deliver the first heat in 2020. In recent years we spent particular attention to raising awareness amongst politicians and construction professionals in and outside our city’s administration. We also communicate consistently with the media about our plans and achievements so that the wider public can be informed. 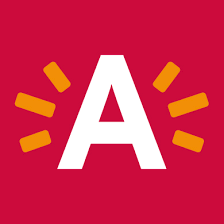 According to our estimates, approximately half of all buildings in Antwerp would be interesting to connect to a heating network. Heat networks are essential if we ever want to utilize the industrial waste heat (approximately 1GW in the port area) and other urban heat sources. District heating forms a part of a future-proof energy system where energy is cascaded and different energy networks are fully integrated. 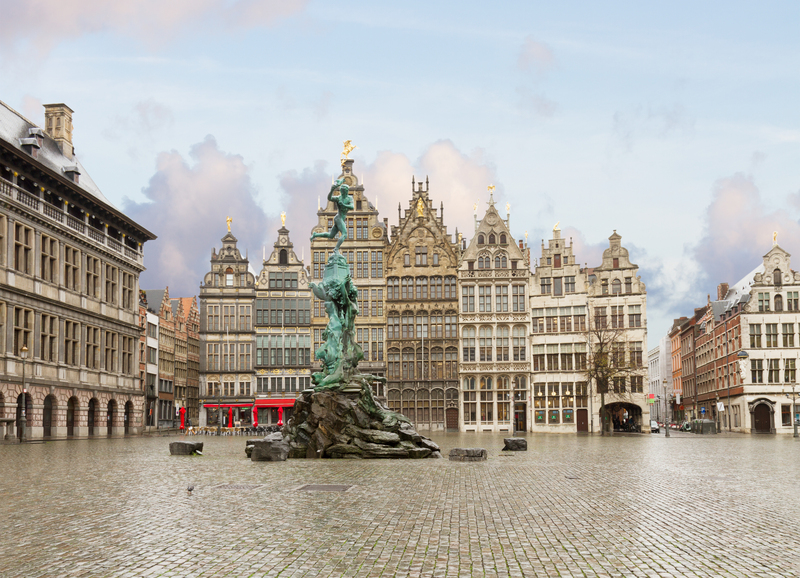 In recent years, we were able to successfully reintroduce the policy theme of heat networks in Antwerp. In the coming years, one challenge is to increase the connection speed to 3,500 dwelling units per year from 2020. As in many other cities, it will be a combination of new and existing buildings where the main potential lies in existing buildings. We are focussing now on the larger existing residential building complexes before we continue with smaller apartment buildings and individual houses. Another challenge is to integrate more industrial waste heat as a heat source to the heating grid. For this, we must ensure that the heat transport infrastructure will be developed and that we are able to negotiate balanced heat delivery contracts with the industry partners. If we want to further transform our society to a sustainable society, we will have to exploit all the local energy potentials optimally. Heating networks offer us the maximum flexibility and the best solution to utilize these heat sources. 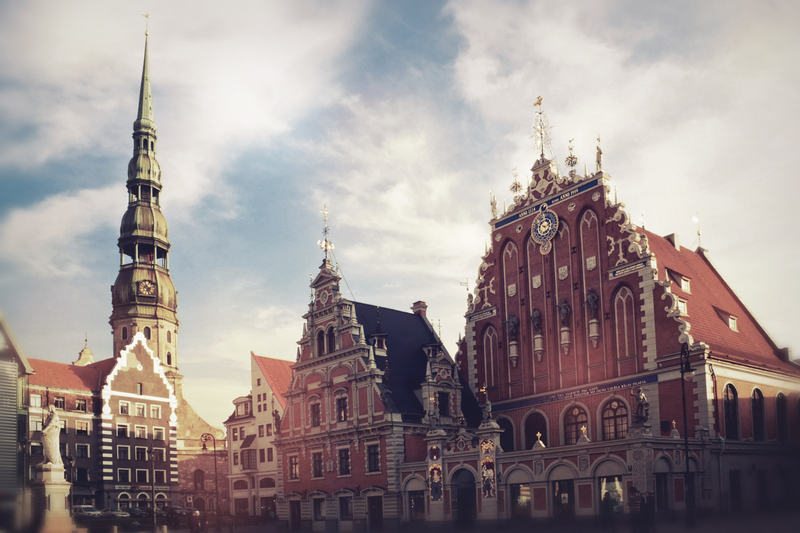 The city of Riga would like to improve the DH system by using experience from other cities. Riga has previously been having successful collaborations together with cities such as Stockholm and Gothenburg. The city also wants to learn more about district cooling, which we do not have today but which would be useful in public and commercial buildings. The city would gain advanced understanding and readiness for new technology, network exchange between professionals, improved policies and help in starting pilot projects. The DH system in Riga dates to the 1960’s and supplies 76% of the heat needed in the city today. The system has developed rapidly over the last ten years with investments to make the system more efficient and sustainable. We are a part of our citizens’ daily life by providing most of them with heat. We have recently improved the communication with users by introducing a unique, full scale automatic reading system telling the customers how much heat they have used. This service provides transparency and ability to decrease heating costs. What is your vision of how and to what extent you would like to be using district heating/cooling in the future? We are discussing to go full scale on renewables! Politicians are committed to a sustainable future with only renewable resources. In order to do this, we want to follow the best examples and improve our performance by adopting new technologies. We want to provide affordable heat to our citizens. As a result of the financial crisis, the general income has diminished and people are more willing to cut costs. We have tried to meet this challenge by investing in new technologies enabling us to decrease the price tariff with 3%. This might not seem like a lot, but for people counting every penny, it really makes a difference. 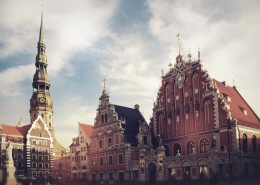 Many of the buildings in Riga are not well isolated and in need of renovation. We want to be an active part of that transition to make sure we are achieving our city’s climate goals. A city with a good infrastructure makes the place more livable. Having a long winter season, it is important to provide our citizens with comfortable, sustainable and affordable heat. With a higher temperature during summer, district cooling might be a solution keeping people comfortable the other half of the year. There is much potential in our automatic control system making people more active when it comes to heating. San Sebastián has developed specialized strategies in fields such as smart energy, sustainability and mobility. This work has been recognized through the Civitas award in 2012 for the sustainable mobility, the Innovative City of the Future award in 2014, the City of Science and Innovation in 2010 and for being in the top five of Spanish cities in the IDC Smart City ranking. Networking is an essential part to keep working in finding new ideas, projects and partners, and collaboration with Celsius is an opportunity to learn, exchange and foster a collective intelligence in matters that affect the city. There are two main positive effects in being involved with Celsius: The first one is learning new technical and management tools for DH projects, especially heat recovery, which should be of interest for any local policy. The second one is related to networking. Having the opportunity to exchange experiences with other cities in this field may open other collaboration possibilities. Because of the mild winter climate in the city of San Sebastian, DHC systems are quite rare, and the existing ones are usually fueled by gas, and with few customers. 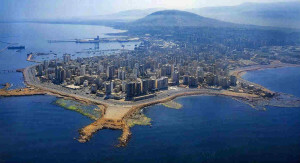 However DHC systems can be more sustainable and cheap and the city is trying to find the right equation for its region. Since 2009, Fomento de San Sebastian is actively working with the development of a sustainable strategy carrying out renewable energies and energy efficiency projects. 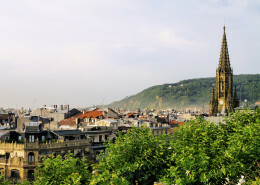 San Sebastian is also participating in several European projects related to the development of planning tools for SmartCities integrated planning and management. For instance in the STEEP Project lead by Fomento San Sebastian, the cites of Bristol, Florence and San Sebastian are developing their Energy Master Plans. During the planning process of the San Sebastián DH system, many companies, universities, R&D centres, associations among others were involved, which has engaged almost 100 stakeholders in the work for sustainability and energy efficiency in the city. Within the renewable energies and energy efficiency projects, the most notable project is DH to a new residential development, Txomin, fueled by biomass that will supply heat and hot water to over 1.500 households. It will probably take four to five years although the bidding process for the selection of companies is already on going. One of the biggest challenges is to obtain economic funds to construct the new residential buildings and the DH system. At the same time, to guarantee the operation and public service of the DH will be an important issue. It is well known that the DH systems have great advantages for instance such as more energy efficiency, use of renewable energy sources, less CO2 emissions, lower cost and tariffs for final users. The other interesting point is that DH is probably the best technology to take advantage of waste heat. 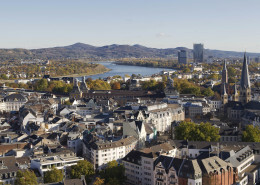 To benefit from district heating expertise on the continent. Enfield’s District Heating Network is being designed with technical specifications at Scandinavian levels, as opposed to British Standards. This is to minimise heat losses and ensure an affordable price for consumers. 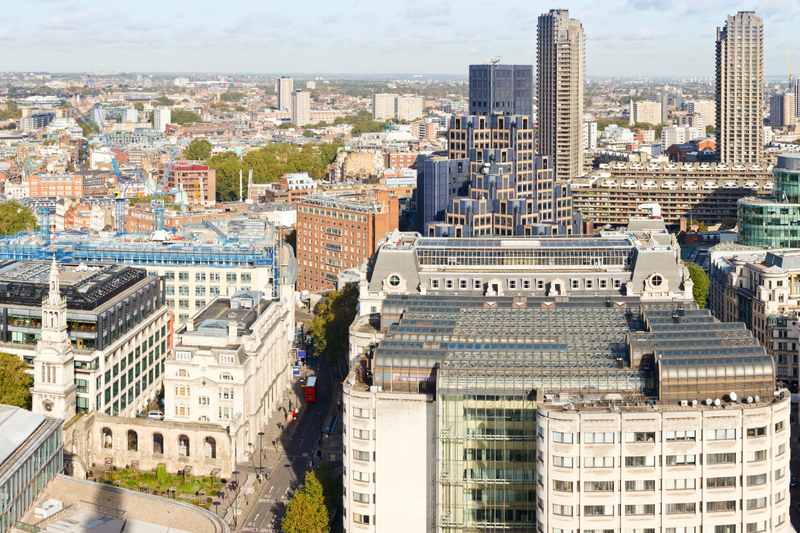 London has ambitions to increase decentralised energy generation as a core component of sustainable energy supply. It would be hugely beneficial to learn from our continental neighbours and their years of operational experience at a city-scale. In the Borough of Enfield we have a small number of single-development decentralised energy systems. The Council has now taken the decision to create a private company owned by the municipality to deliver a strategic heat network on a city-scale, using waste heat from an existing energy from waste plant. This project aims to be an exemplar district heating scheme, delivering affordable heat to residents at a scale that the UK has not previously seen. While the strategic heat network is being developed, Enfield Council is regenerating three housing estates with their own decentralised heating and hot water supply. These will function as standalone ‘satellite’ schemes until the mains pipe is installed and they can connect to the strategic network. The first 40 homes at the Ladderswood satellite scheme are due to receive heat this autumn. We’re aiming to supply 10,000 homes with heat in the first phase of the Lee Valley Heat Network. As the project is being delivered by the local authority, the new homes we build for our residents on the three satellite schemes will all be connected to Enfield’s District Heating Network. In the future we aim to offer our heat and hot water to residents and buildings across the Borough, so we will be engaging with residents, community groups and businesses to raise awareness and identify opportunities for additional heat provision or loading. To start with we are working with the residents of the first three estates, to enable them to become ambassadors for Enfield’s District Heating Network. It is really important that they understand their energy system and how it will benefit them and the Borough. 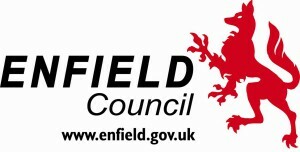 Enfield Borough Council aims to continually expand the Heat Network, so all residents and businesses can benefit. We will use multiple heat loads and heat sources, focusing on waste heat from industrial processes to create a resilient heat network. District Heating is still an emerging market in the UK, so people are skeptical about trying something ‘new’ and ‘different’ to what they are used to. Adding to this, the UK heat industry is unregulated: so historically District Heating schemes, especially domestic ones, have often earned a bad reputation as inefficient, expensive and unreliable. Changing the perceptions of people who have had this bad experience is a major challenge. We expect that engaging with the business community will also be a challenge. We want to make use of waste heat from industrial processes and connect as many local businesses to the network as we can; but it is difficult to win the trust of the multiple decision makers involved. Utility provision is rarely considered a top priority for businesses, and successful engagement will require significant resource and ongoing negotiations. Enfield shares the view of the Greater London Authority and Celsius; that district heating/cooling provides multiple benefits. 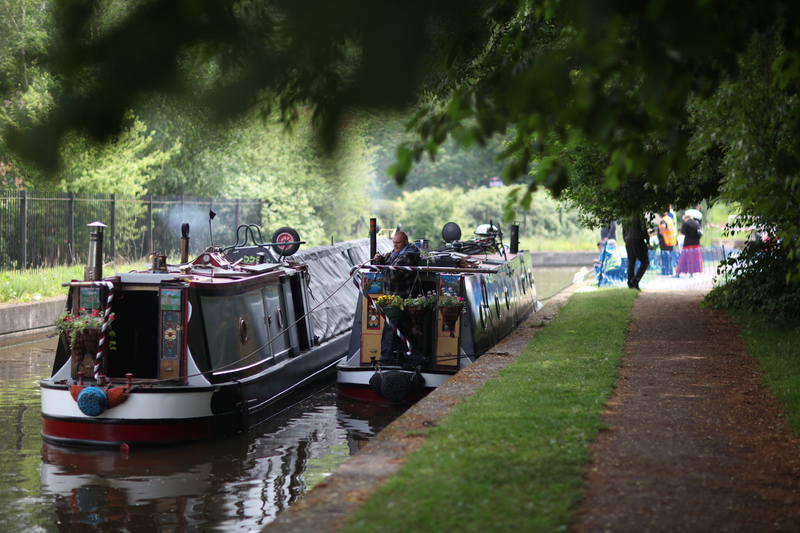 Enfield is a Borough with several areas of high deprivation, so being able to provide affordable energy is a vital tool to help the Council tackle fuel poverty. In addition, Enfield is working to improve local air quality and reduce carbon emissions; which the district heat network will significantly help to achieve. 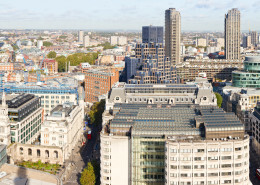 In particular for London, population and energy demand are ever increasing. 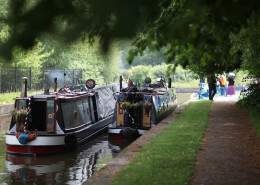 The national grid is struggling to cope with increasing load, so it is crucial that the capital reduces its dependency on centralised energy supply, and imported fuel sources. 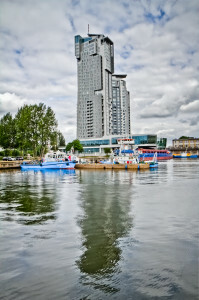 In the City of Gdynia, 70 % of the buildings in the city are supplied with heat from district heating. We would like to modernize this system to become more sustainable and energy efficient. With CELSIUS knowledge and support, we believe we can more effectively modernize our district heating system. The system supplies heat to 70% of all buildings in the city through the district heating system powered by CHP in cooperation with the local district heating company, OPEC. In one area, the offer is being expanded from supplying only warm water to supplying both warm water and heat. In corporation with the local energy company, the City of Gdynia has raised awareness by organizing social events discussing the problems with energy efficiency and renewable energy. Our vision is to develop district heating and cooling systems in new areas that are being developed in the new city centre and in the West district of Gdynia. We are also planning to expand our district heating system to include more buildings as well as reducing the number of individual coal boilers. To make the system more efficient, we are implementing a more modern insolation in the pipes. In conjunction with developing our district heating system, we are testing it with the district cooling system together with the city’s academic institutions. The present location of our power generation plant is too far away from where it is needed. We need to solve this problem for us to supply efficient district cooling. It’s an efficient way to decrease the carbon dioxide, particulate matter and polycyclic aromatic hydrocarbon emissions.